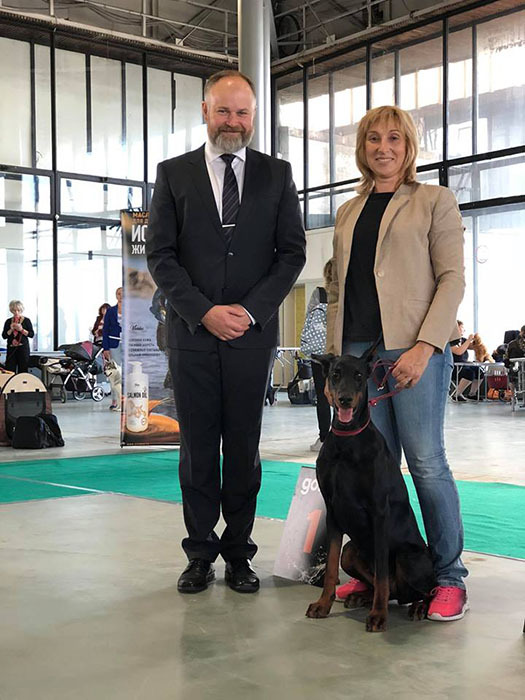 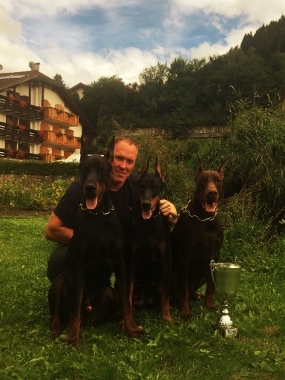 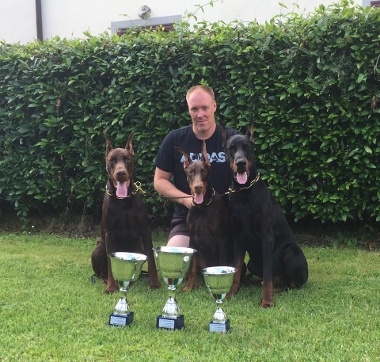 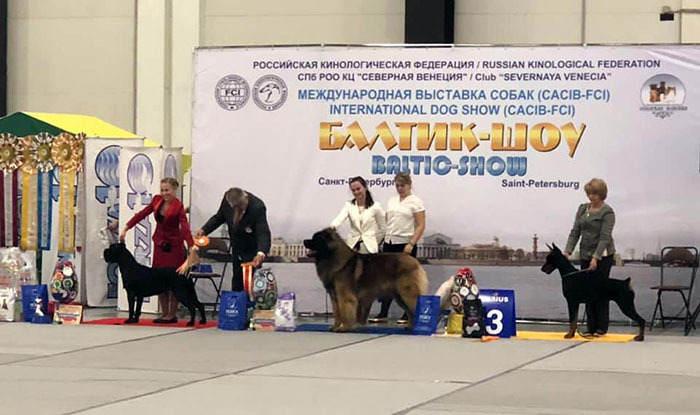 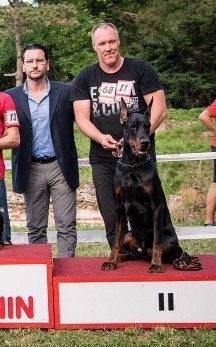 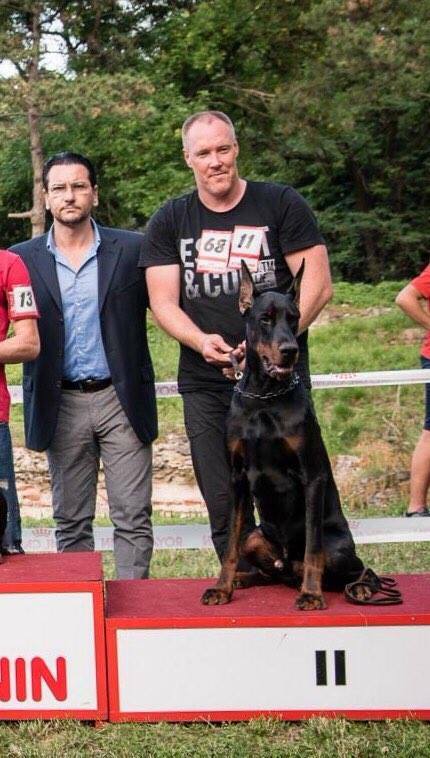 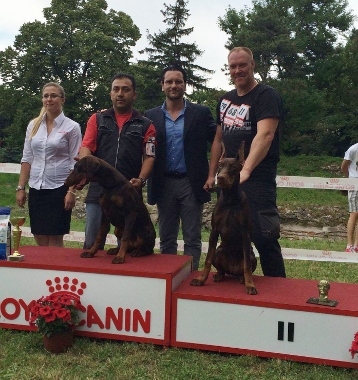 International CACIB Show "Nevskiy Winner-2018”, judge Fabrizio La Rocca, Italy. 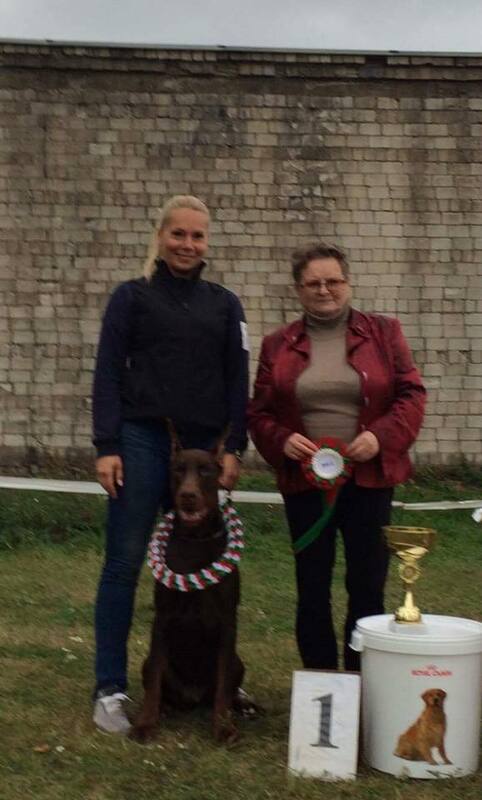 Teraline ARWEN - Best Junior, Youth Lithuanian Winner’2018, Youth Lithuanian Champion!! 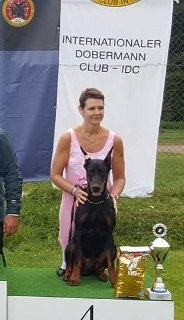 Teraline TOKAI - CAC, CACIB, BOS, Lithuanian Winner’2018, Lithuanian Champion! 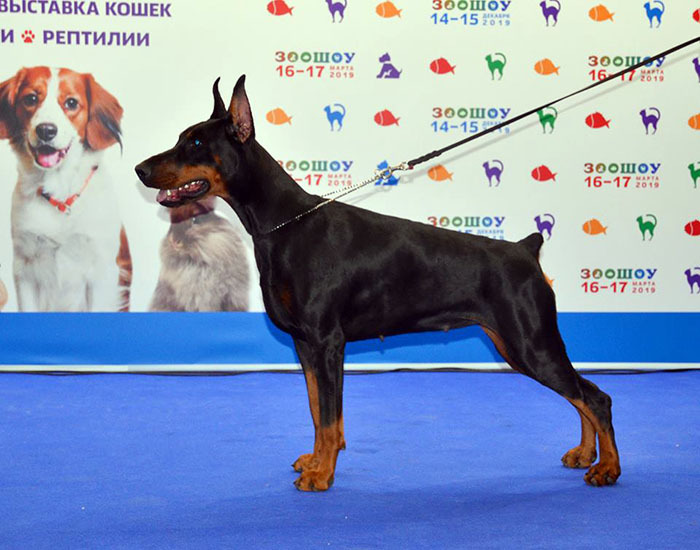 Ekaterinburg, Russia, judge: Lisovec А.N. 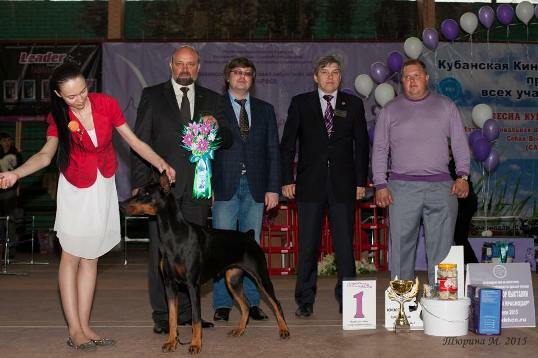 TERALINE POWER - 1 ex, САС, Best Male, BOB, Champion of RKF! 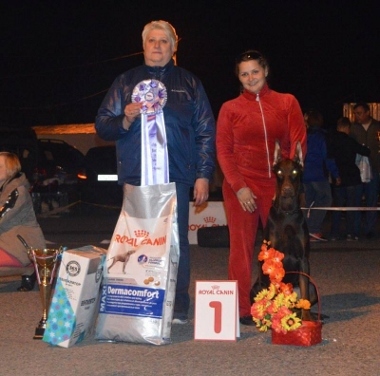 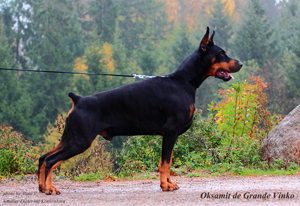 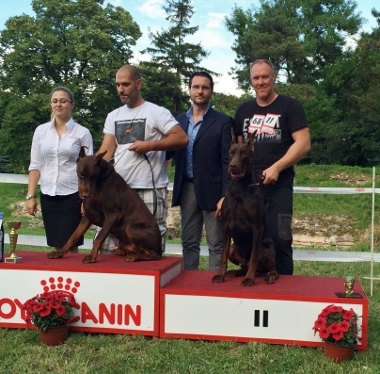 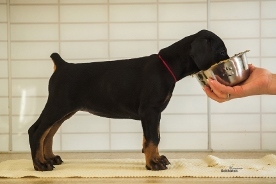 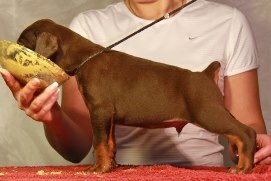 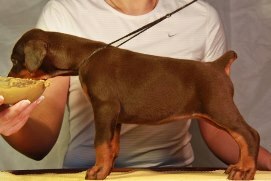 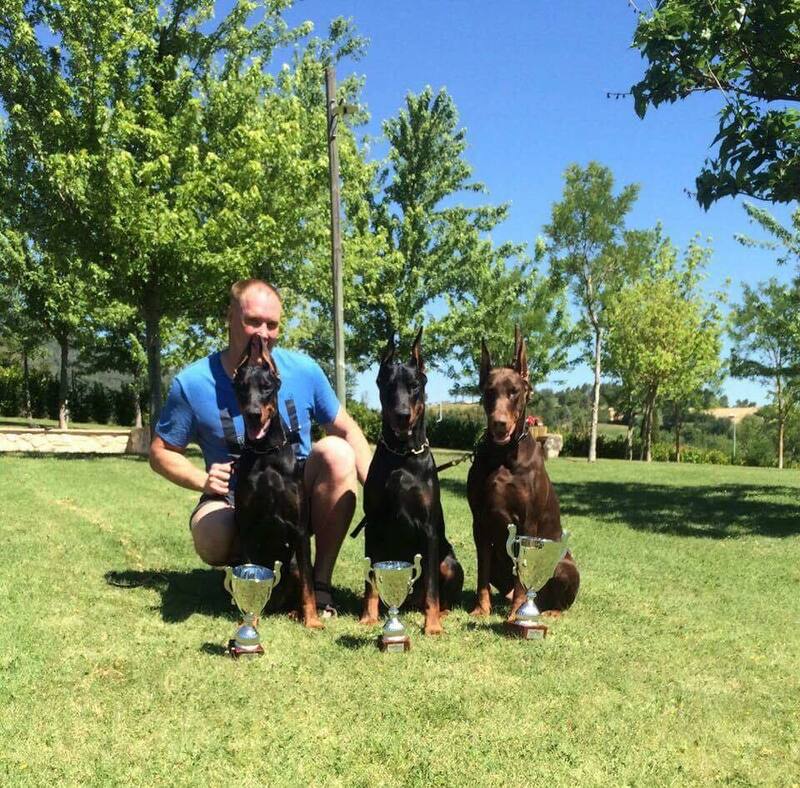 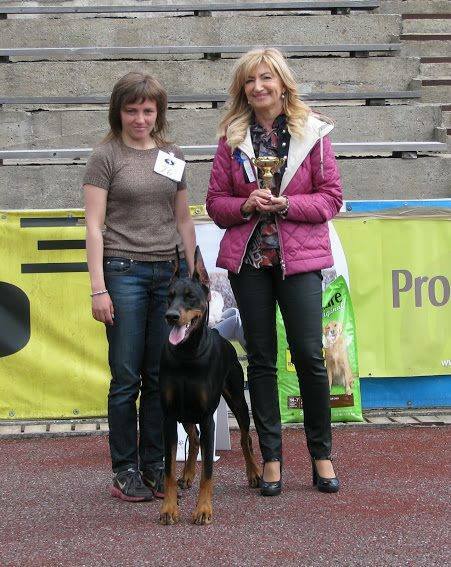 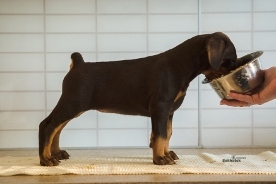 TERALINE POWER - 1 ex, САС, Best Male, Best of Breed! 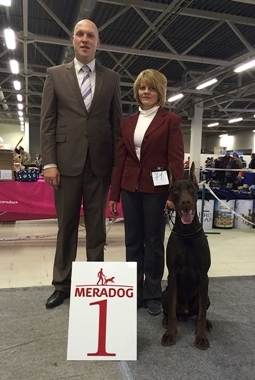 TERALINE NEYTHARD - CW, САС, Best Male, Champion of Belarus! 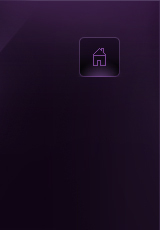 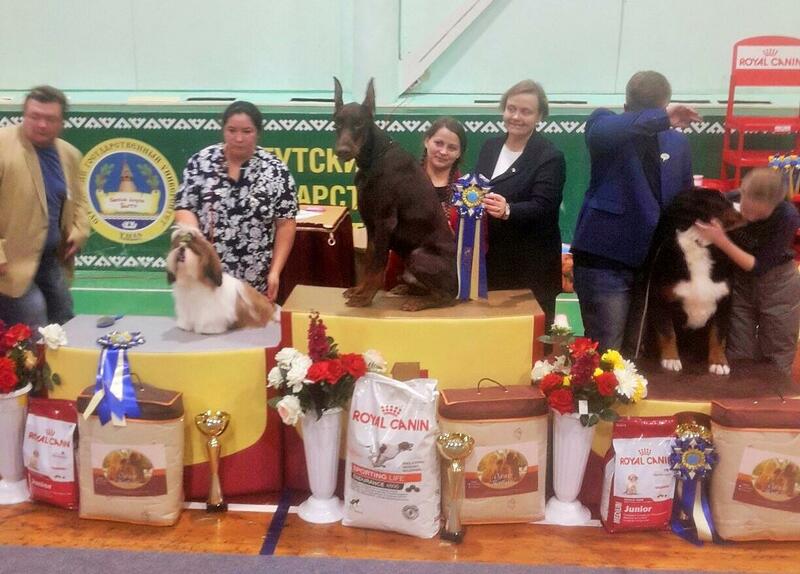 TERALINE NEYTH - 1 ex., CW, САС, BOB, Best in Group-2 ! 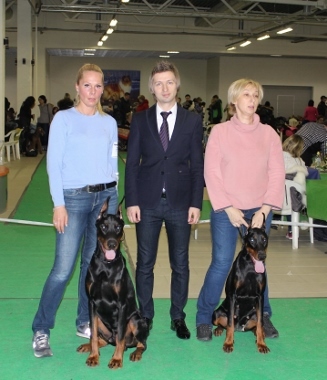 National САС show, Moscow, Zelenograd, judge: Senashenko Е.
TERALINE ROHAN - CW, САС, Best Male, BOS ! 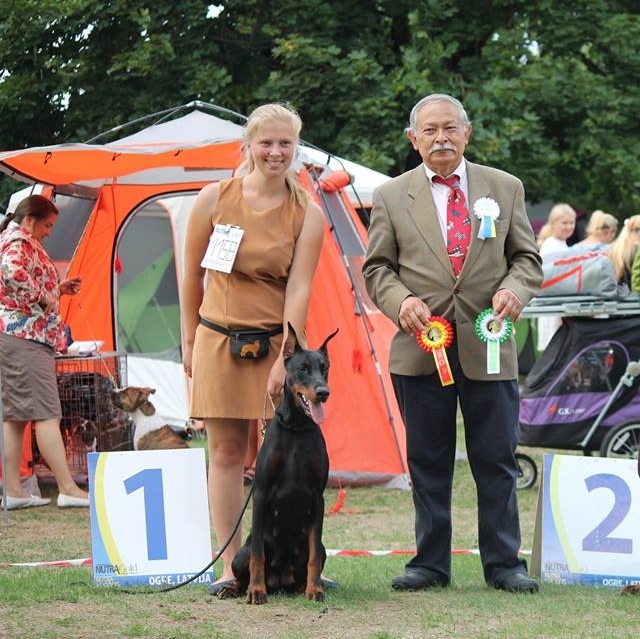 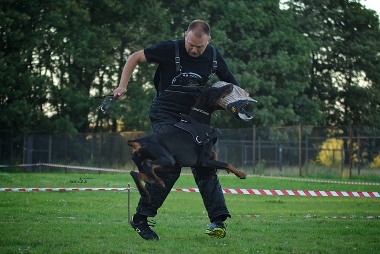 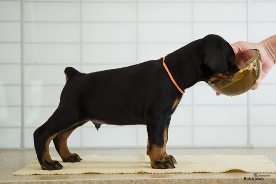 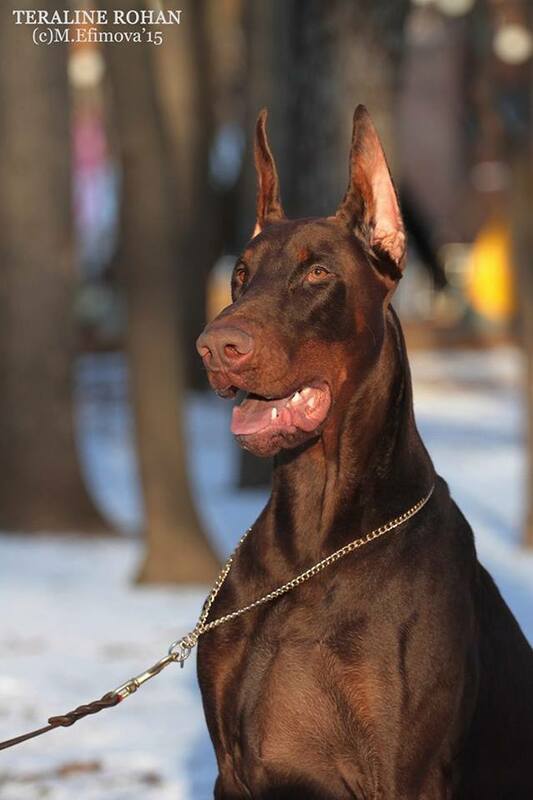 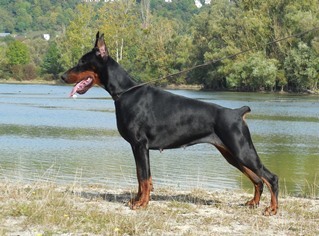 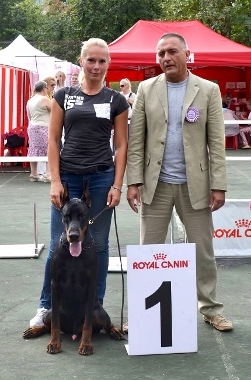 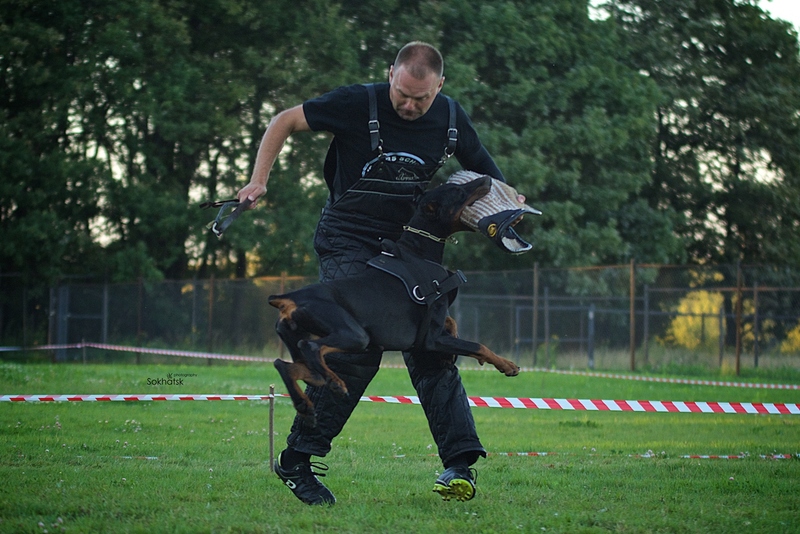 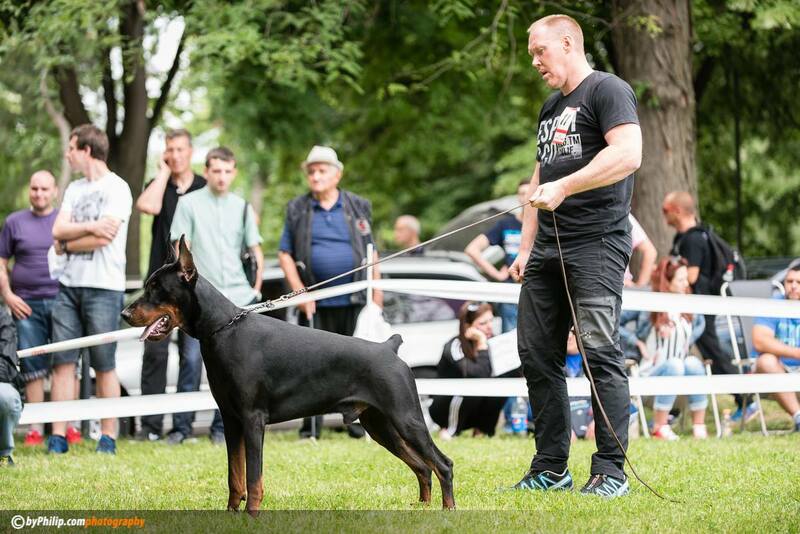 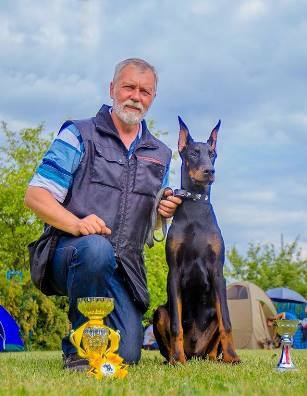 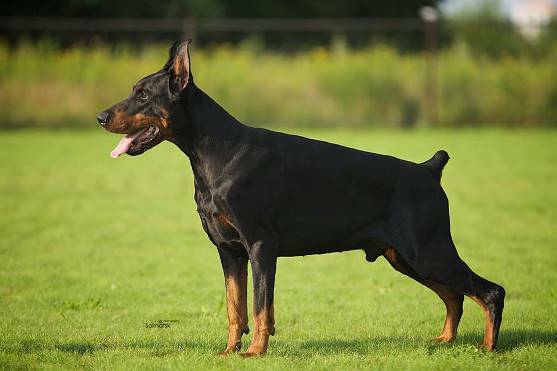 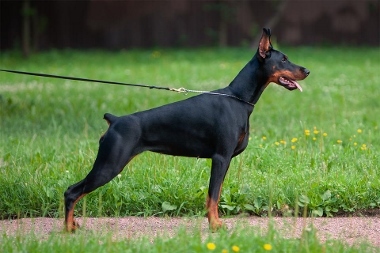 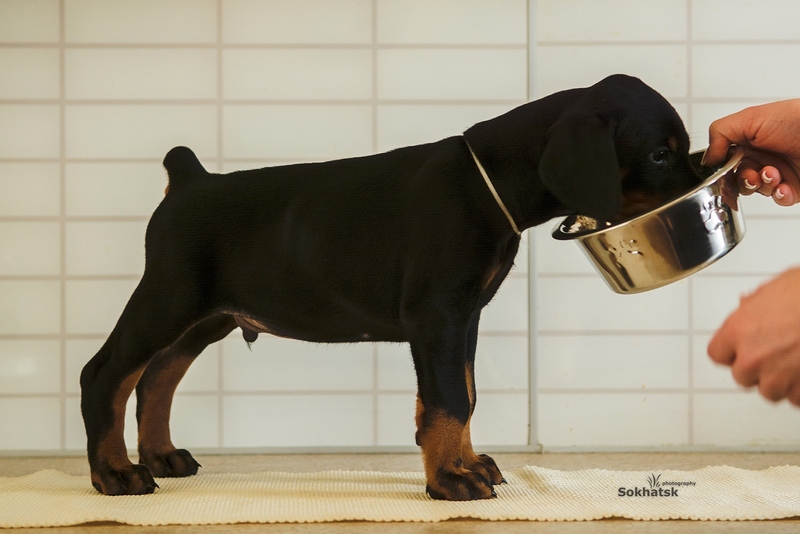 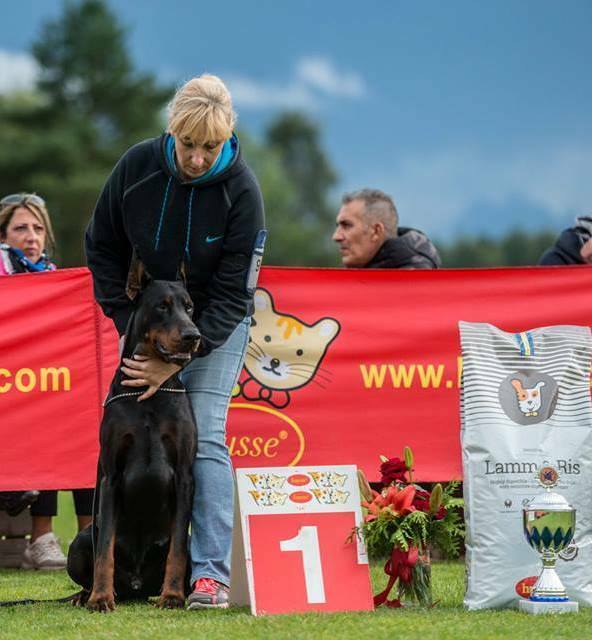 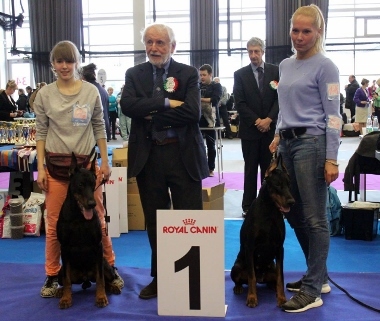 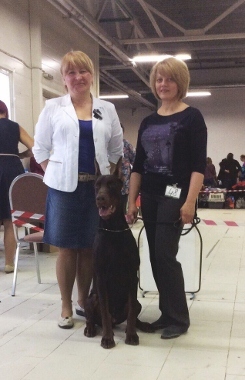 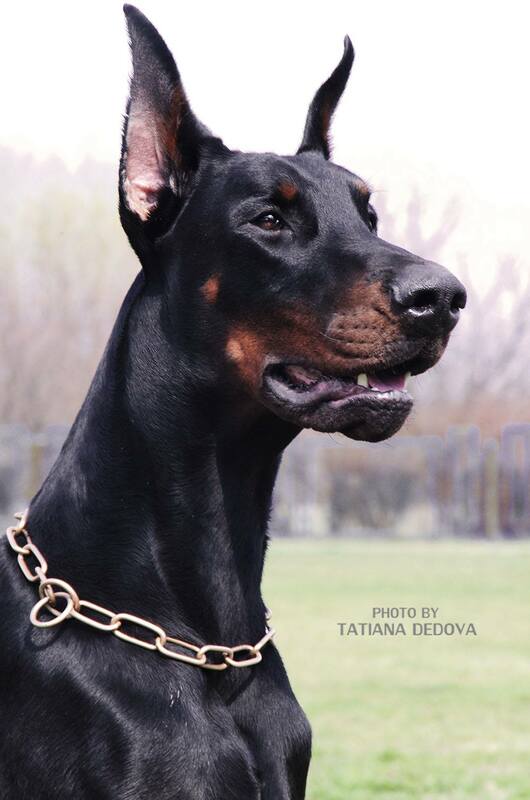 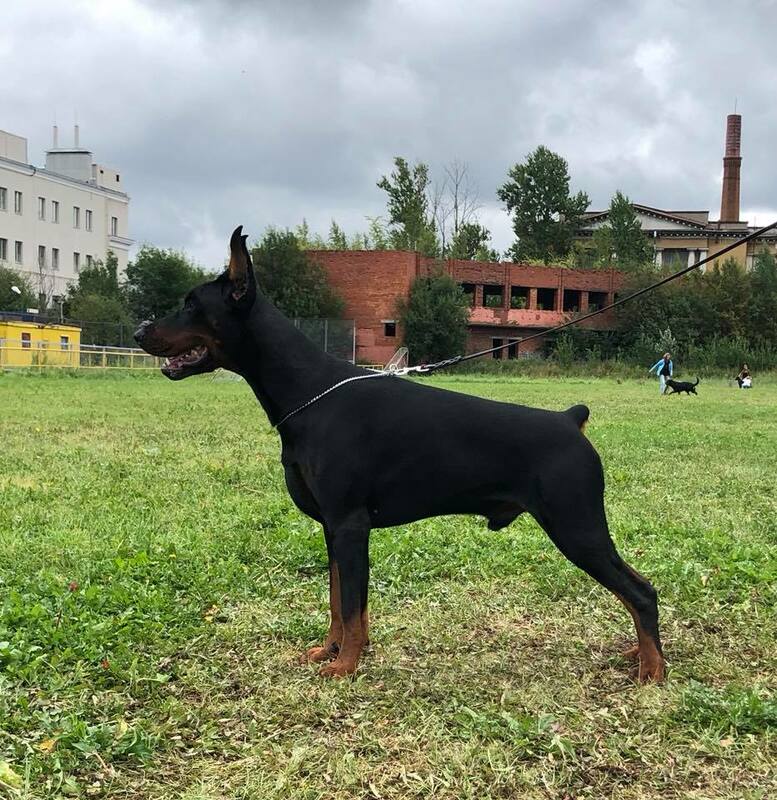 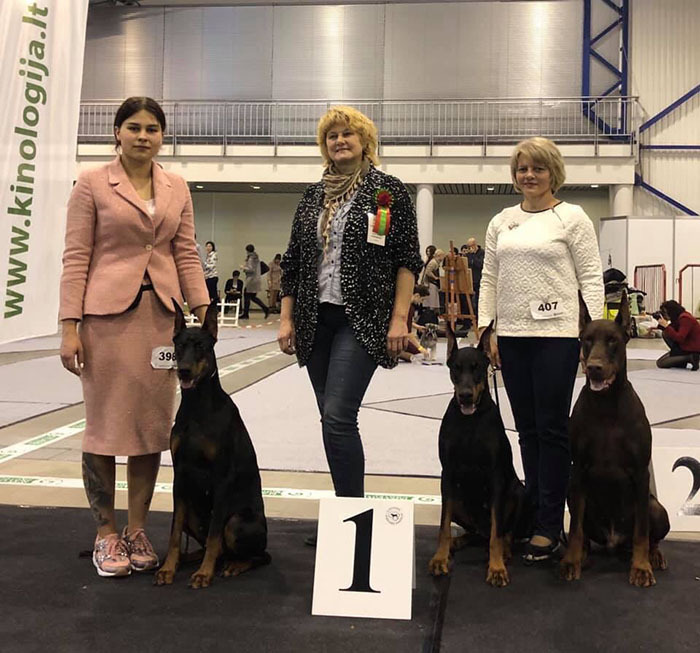 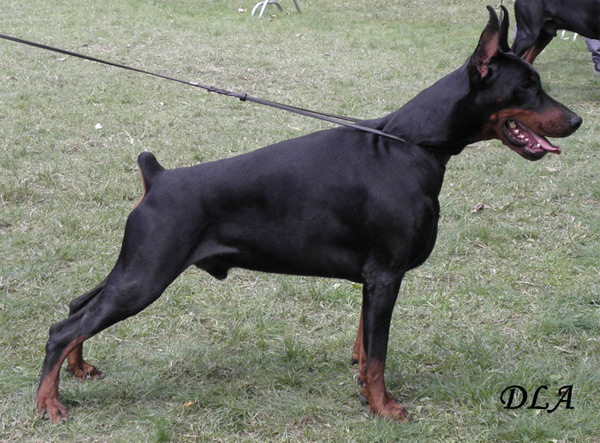 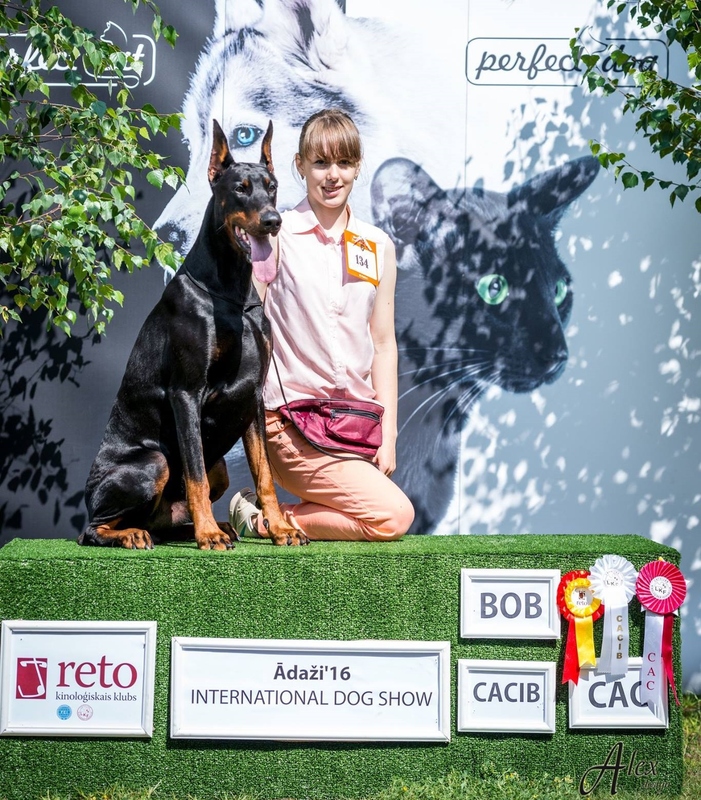 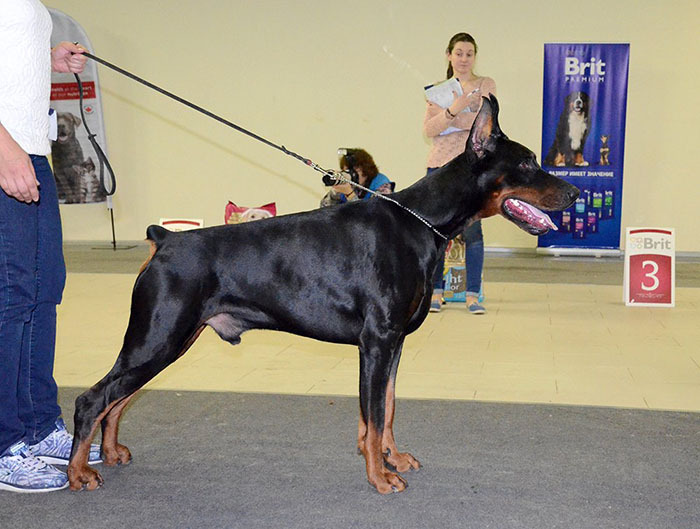 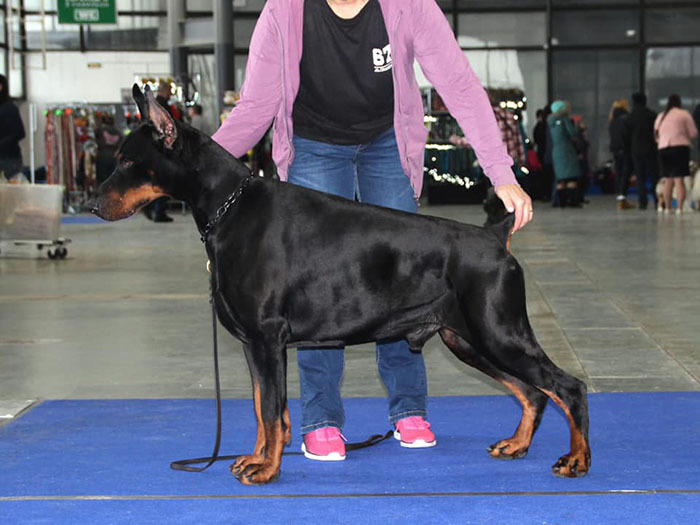 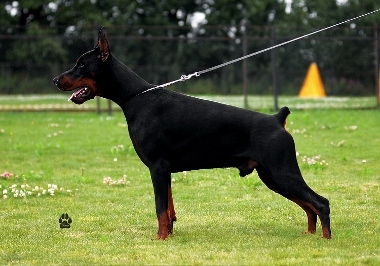 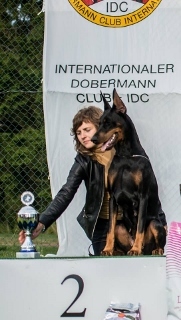 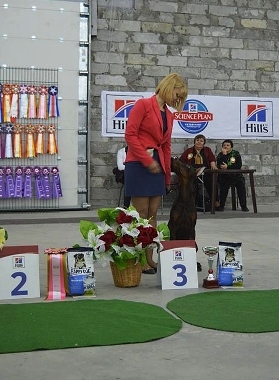 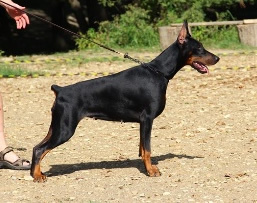 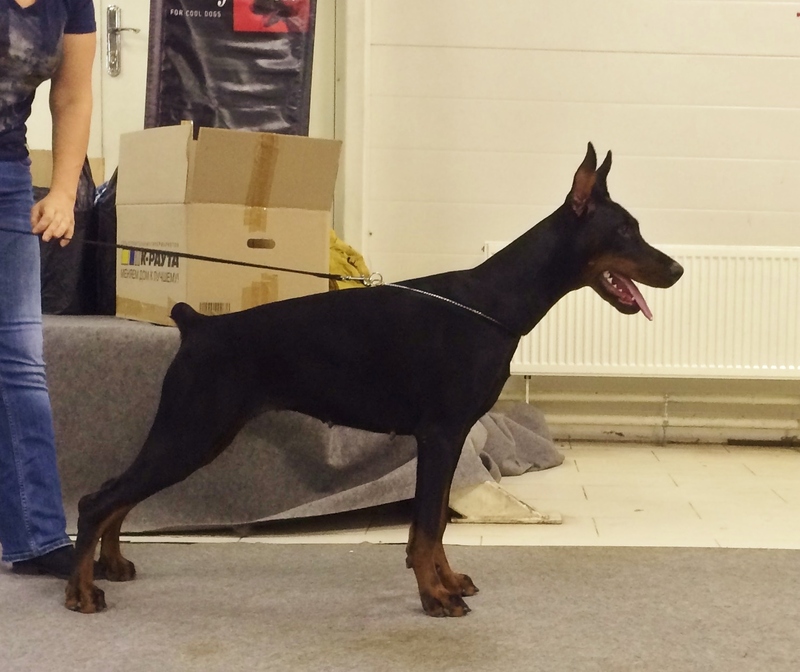 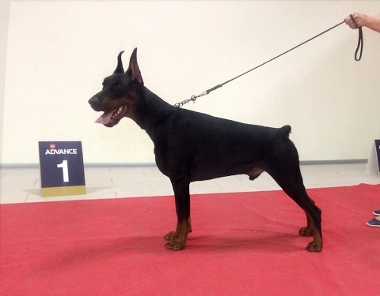 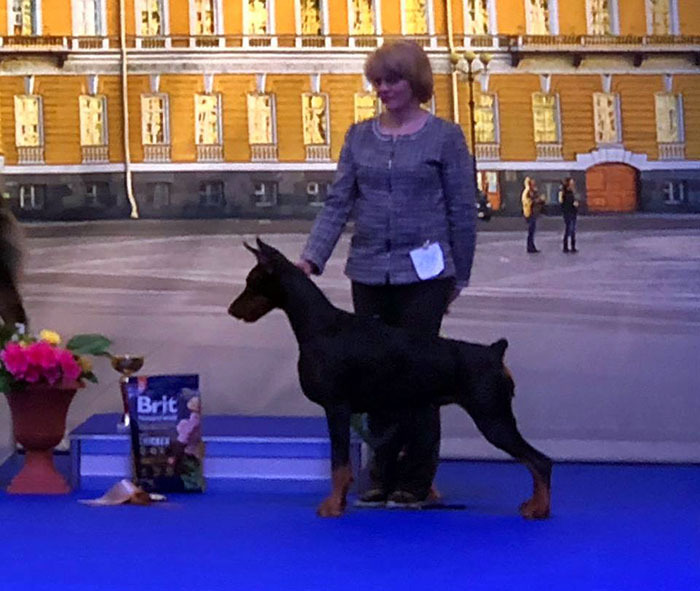 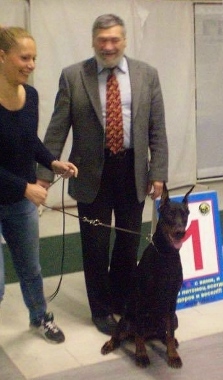 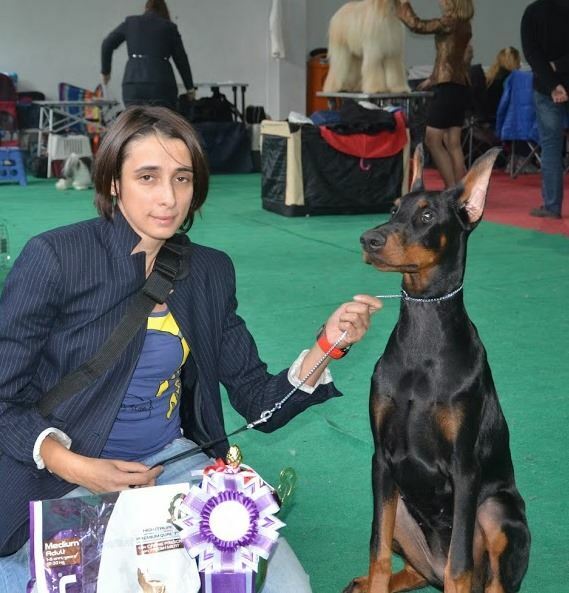 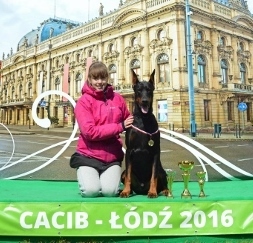 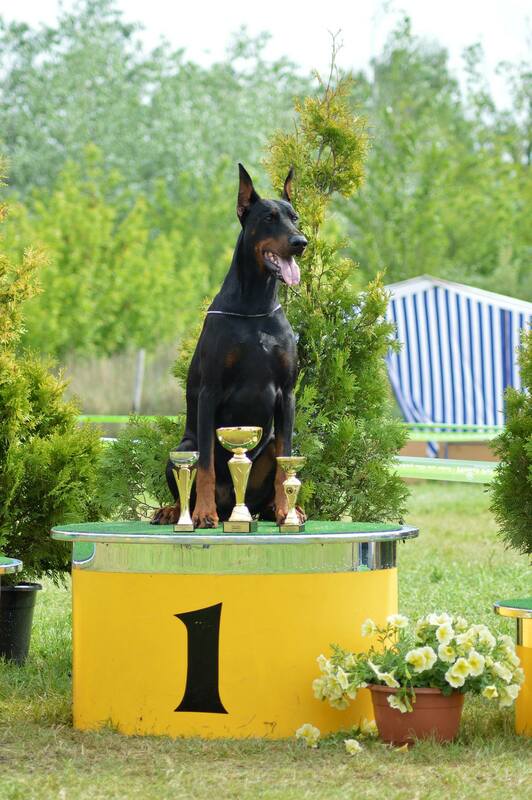 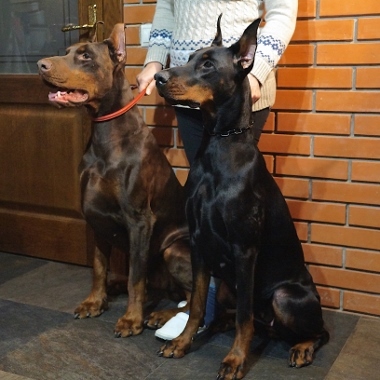 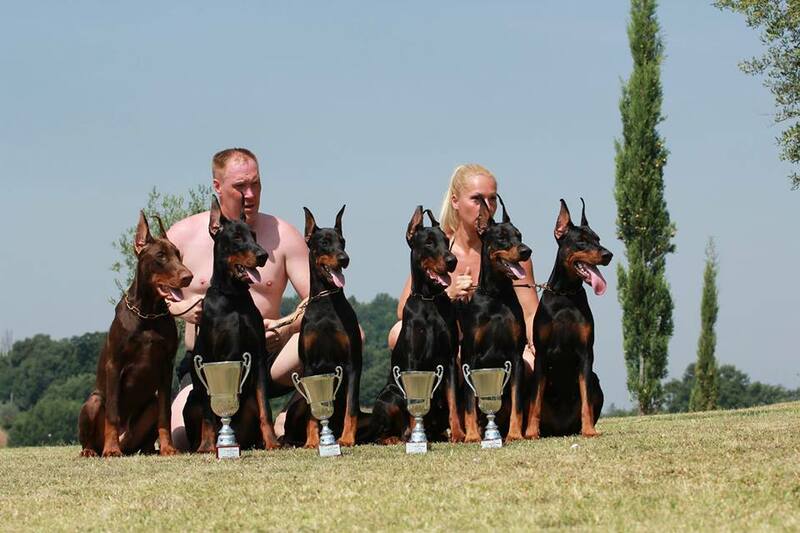 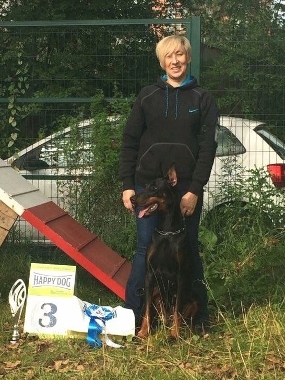 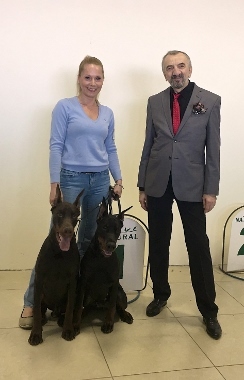 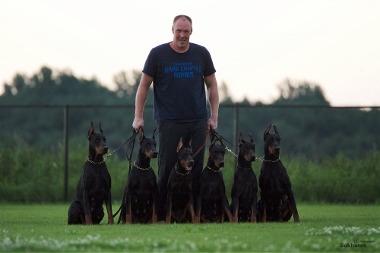 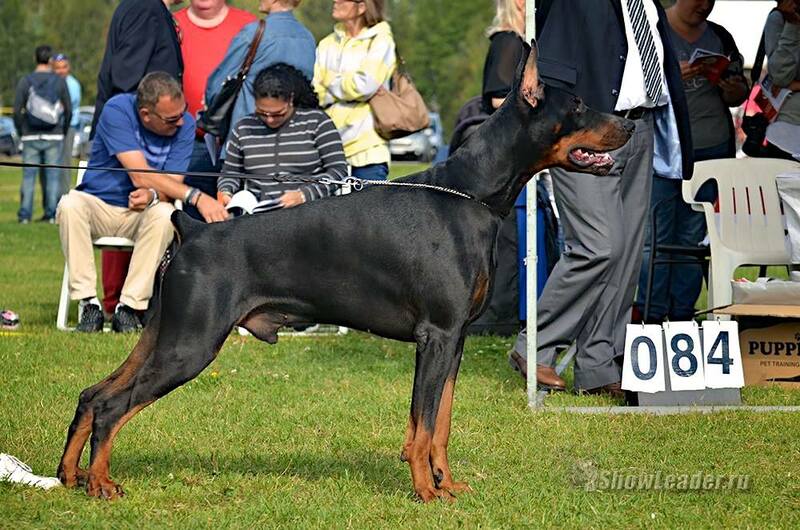 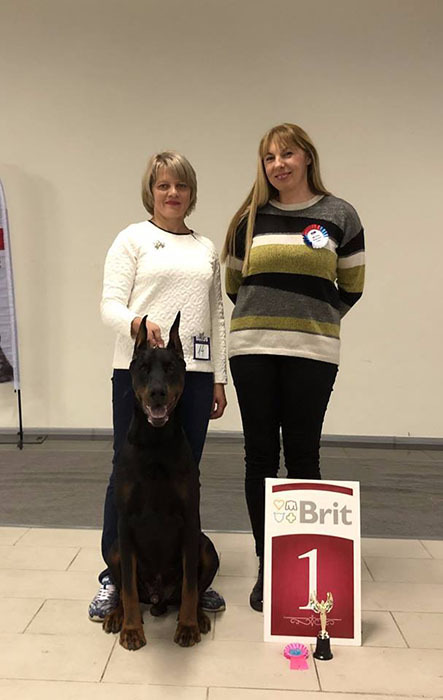 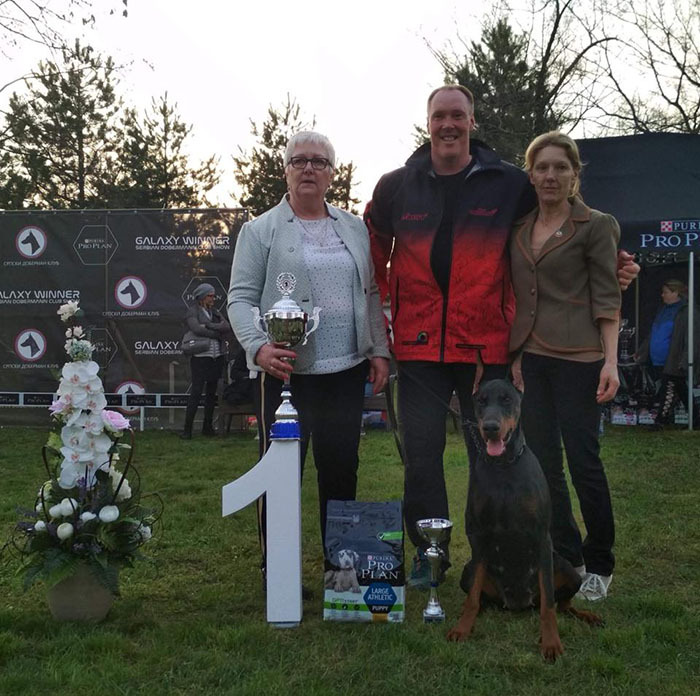 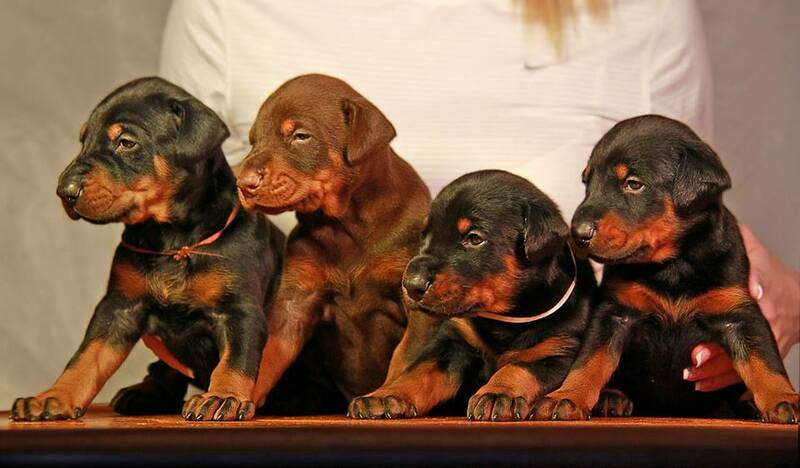 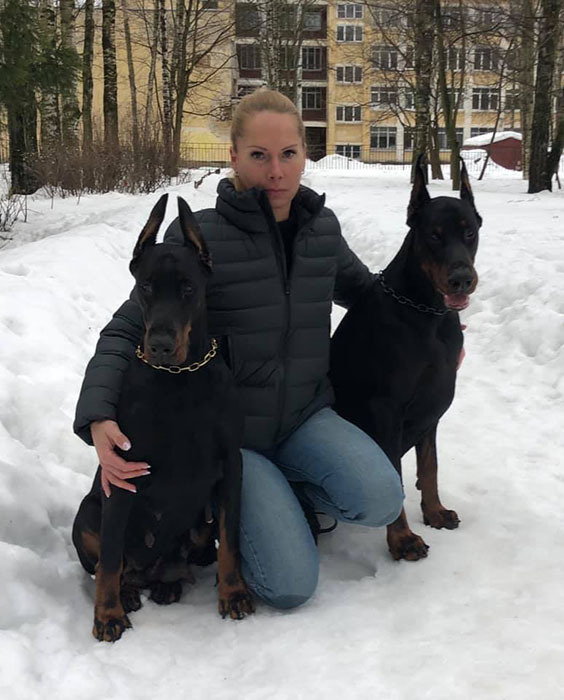 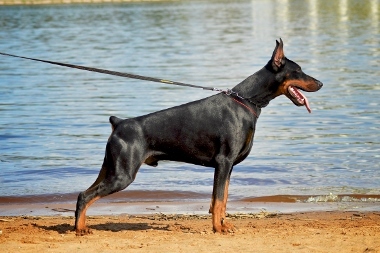 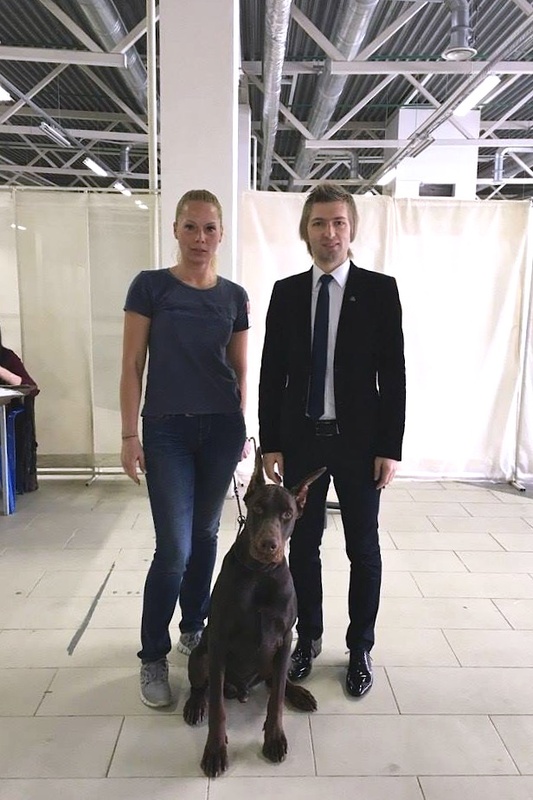 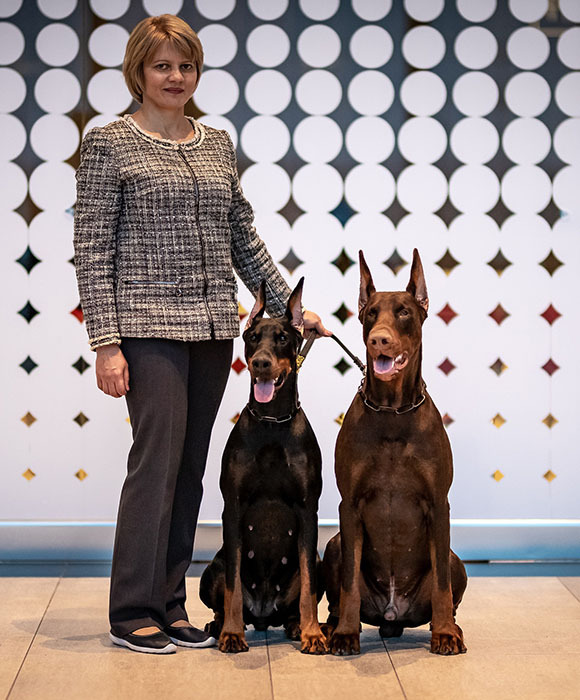 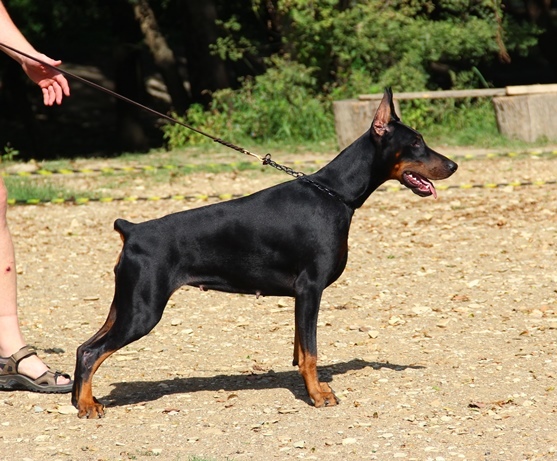 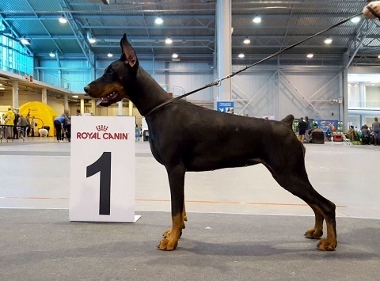 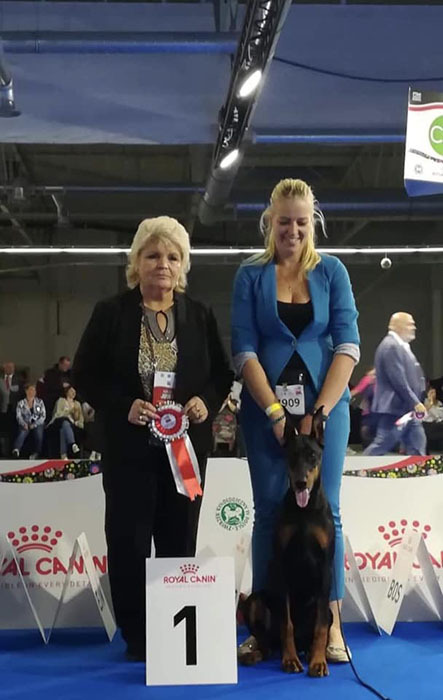 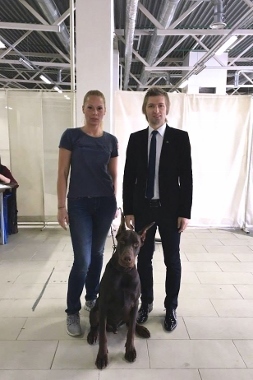 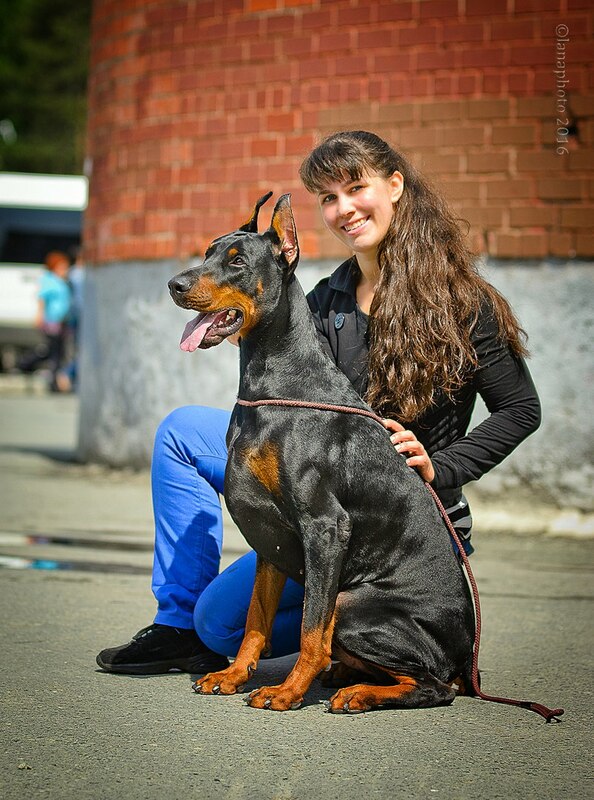 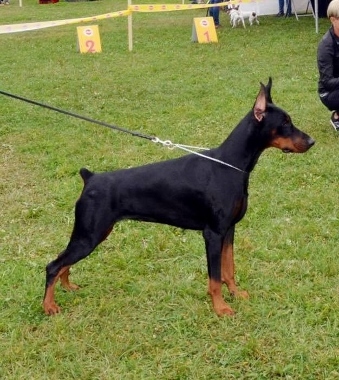 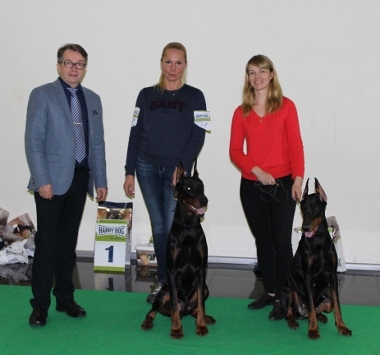 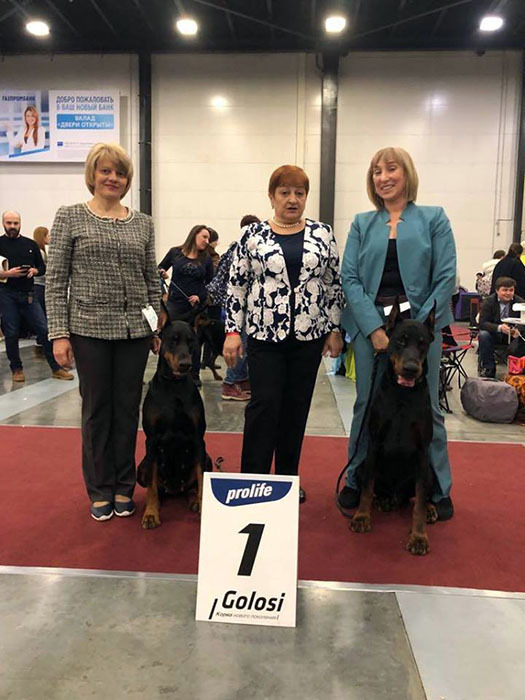 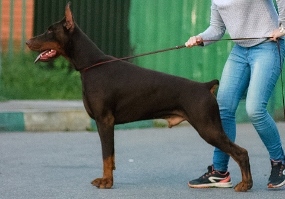 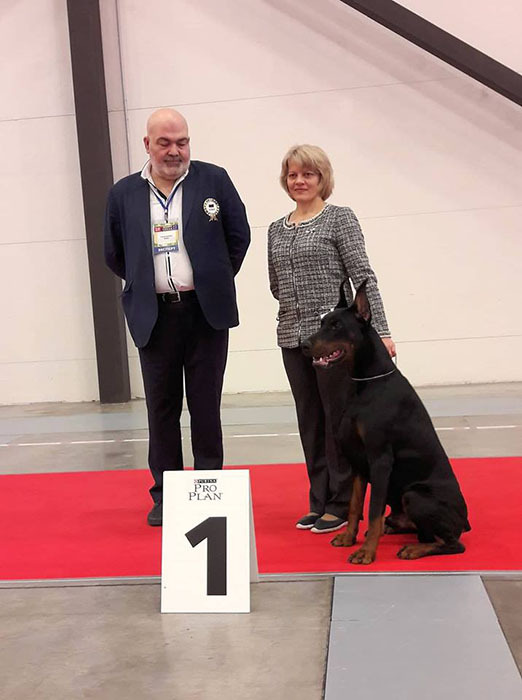 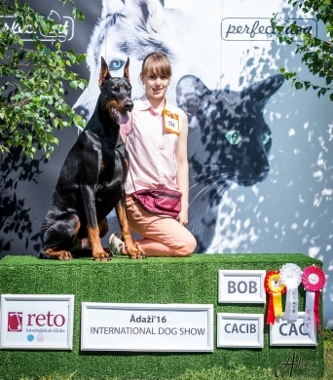 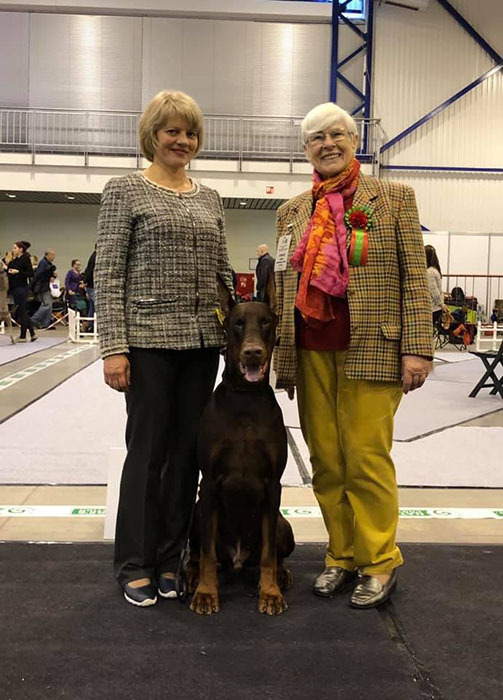 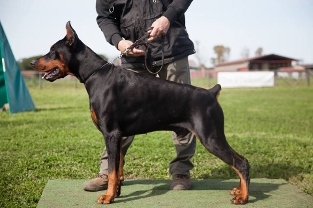 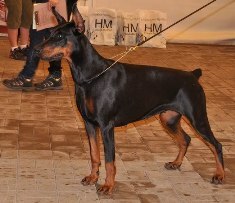 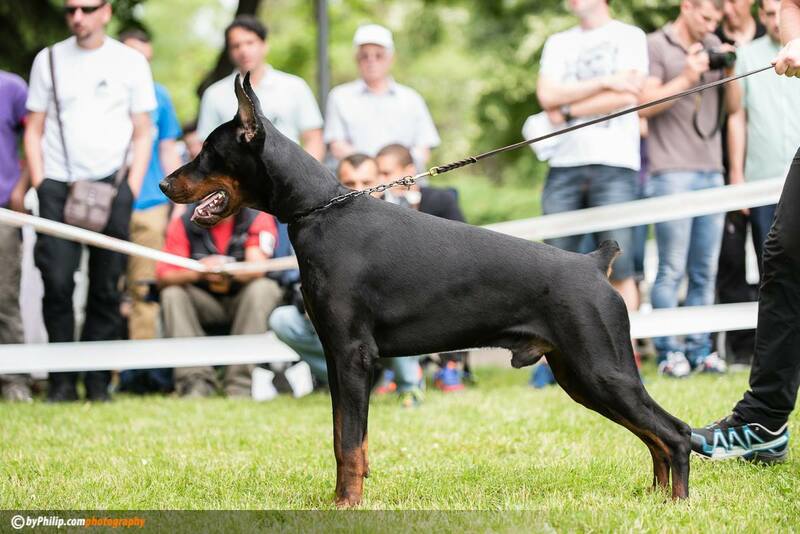 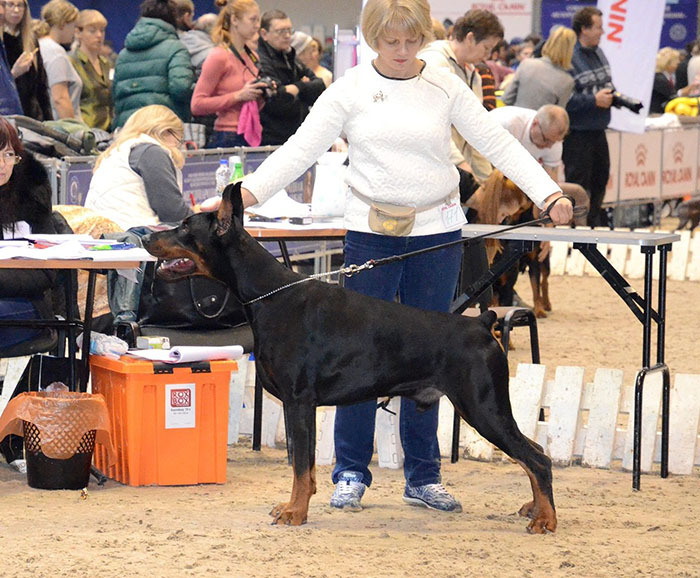 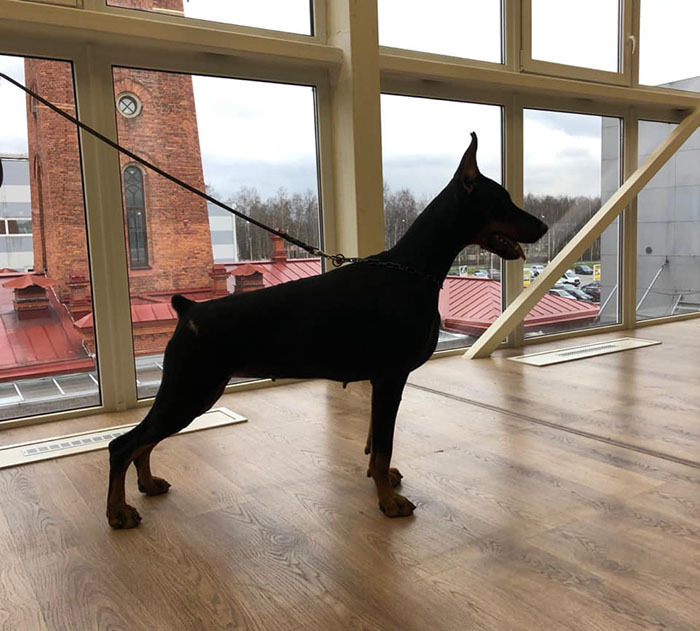 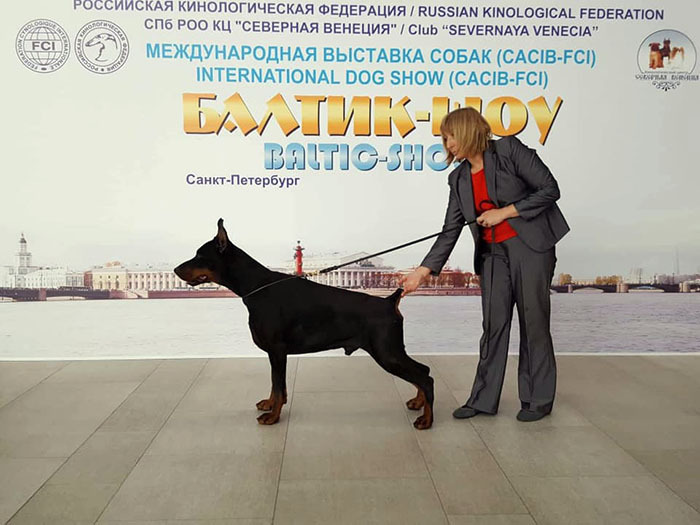 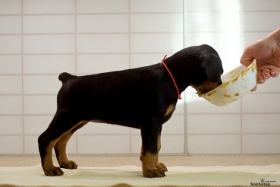 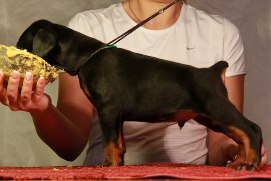 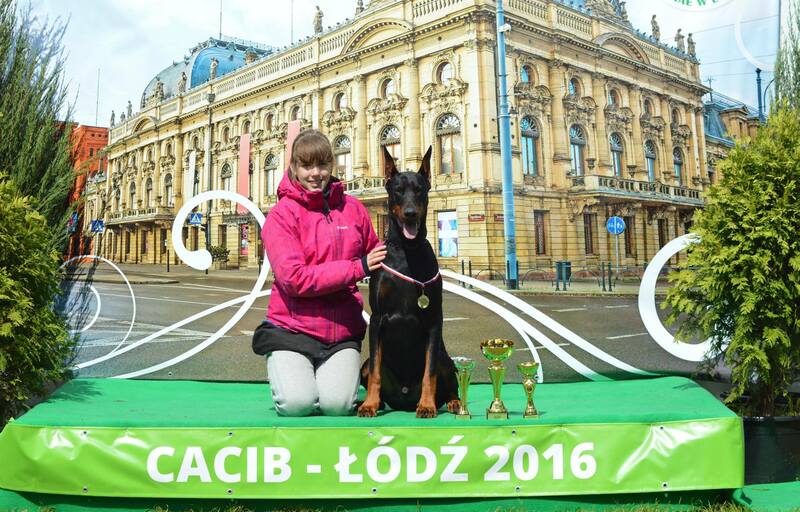 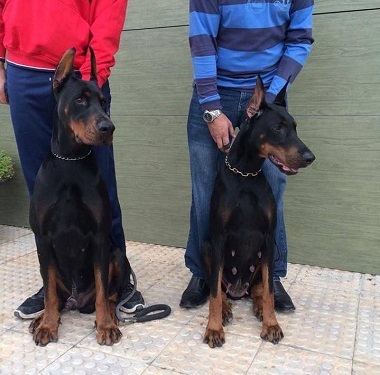 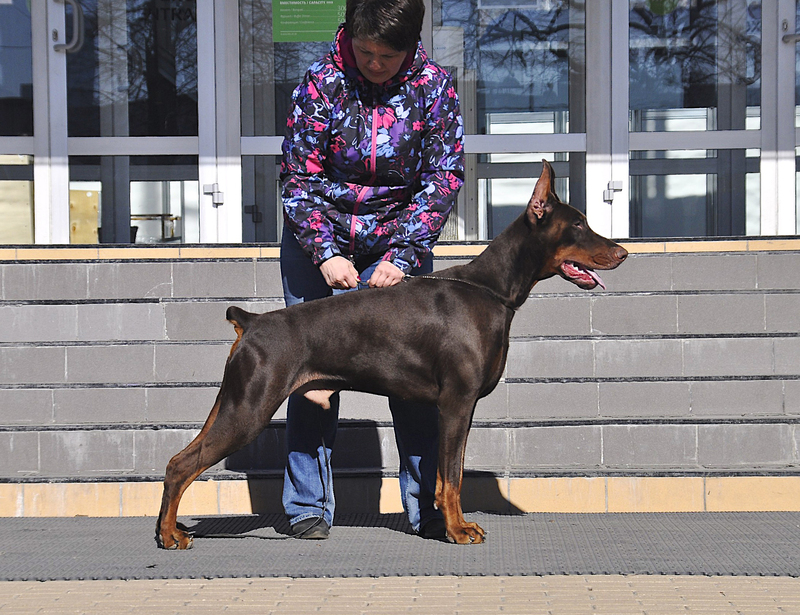 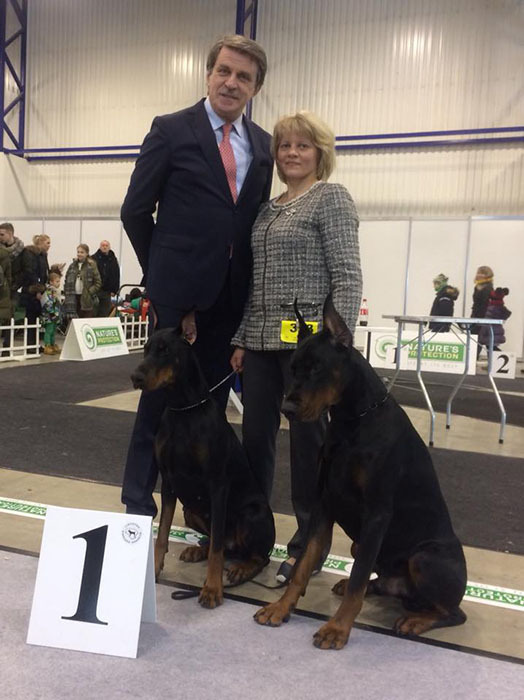 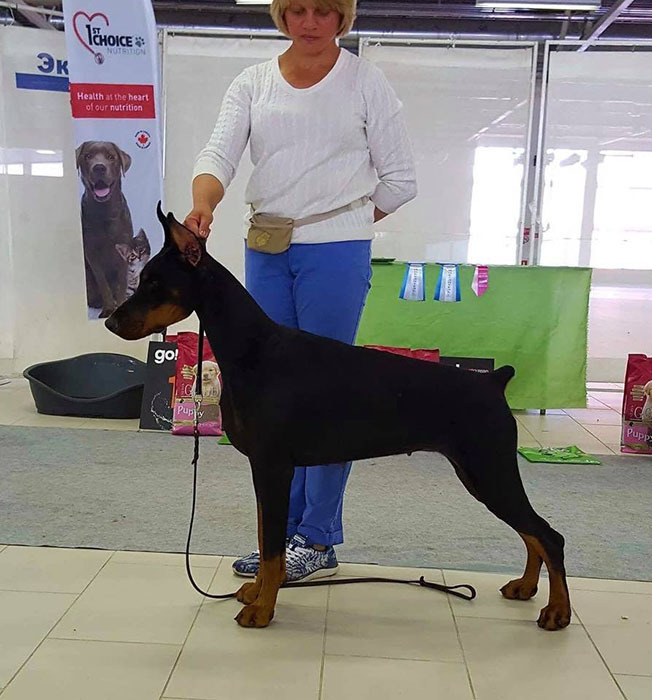 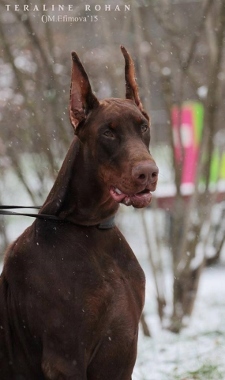 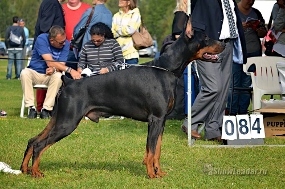 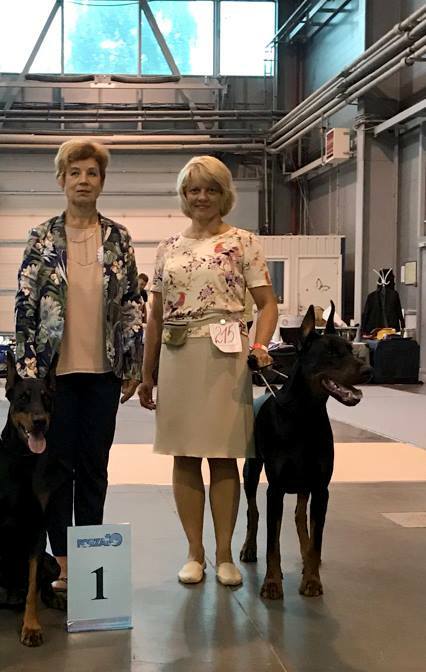 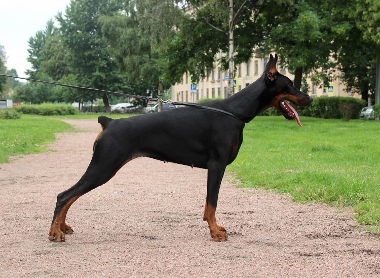 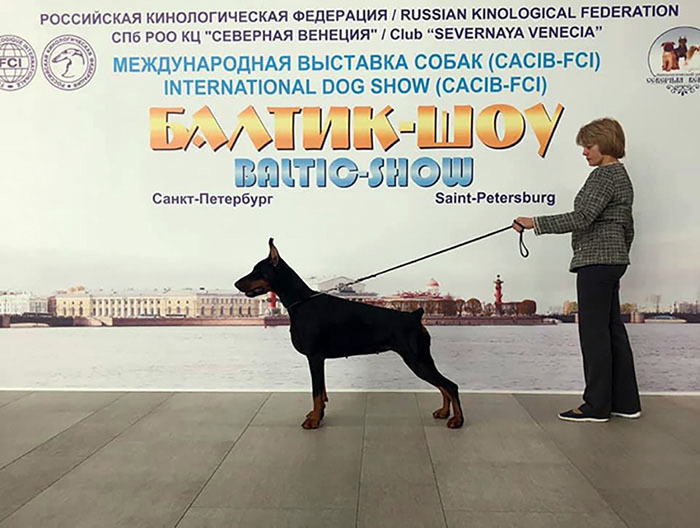 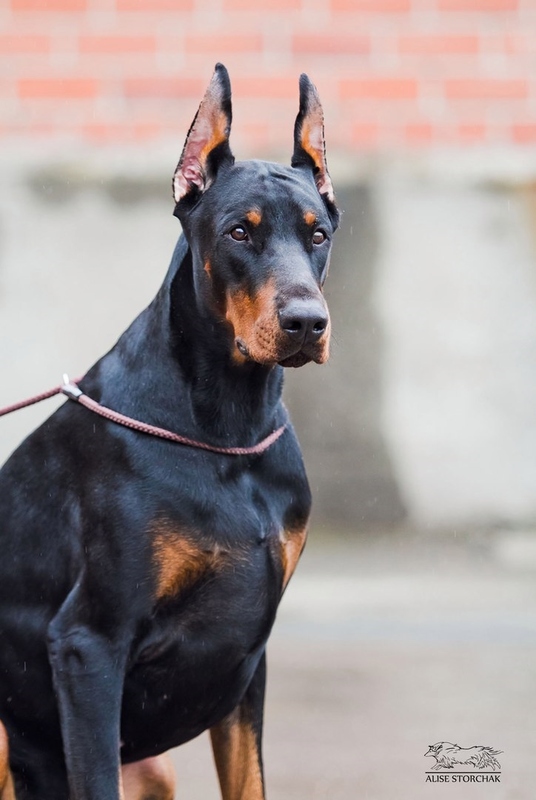 National САС show, Moscow, Zelenograd, judge: Perevedenceva G.
Specialized Dobermann show, Ekaterinburg, judge: Nikitin А.
TERALINE PIRAT - 1 ex., САС , Best Male of breed, Ch. 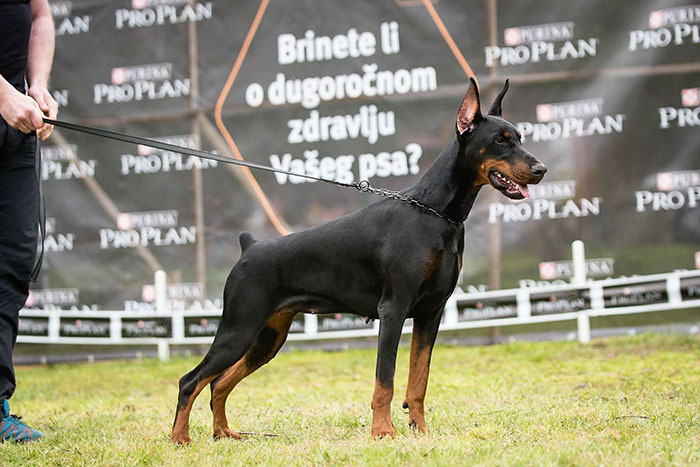 RKF! 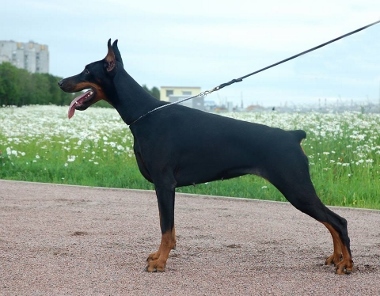 TERALINE SOUL - 1 ex., JСАС ! 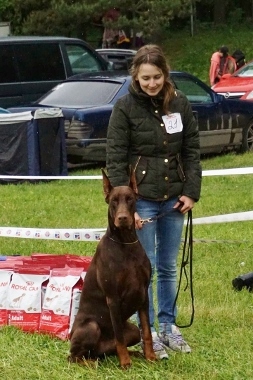 TERALINE SPARTAK - 1 ex, JСАС , Best Junior ! 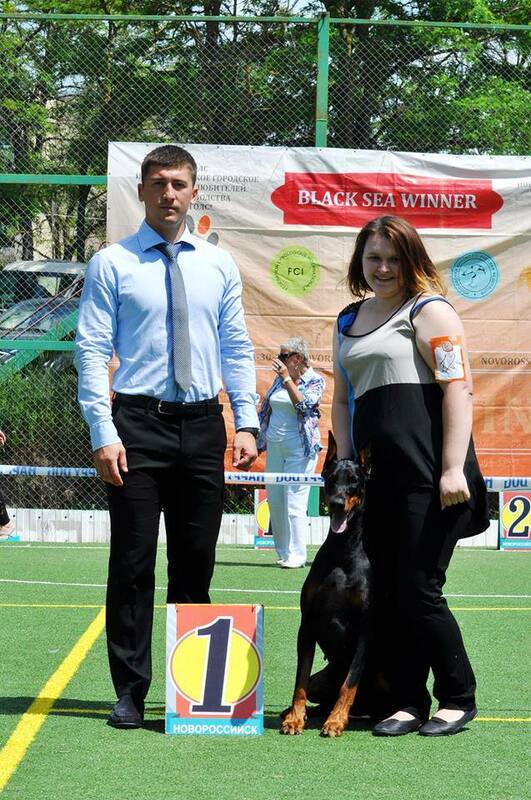 TERALINE PRESIDENT - Youth Champion of Moldova и Champion of Moldova! 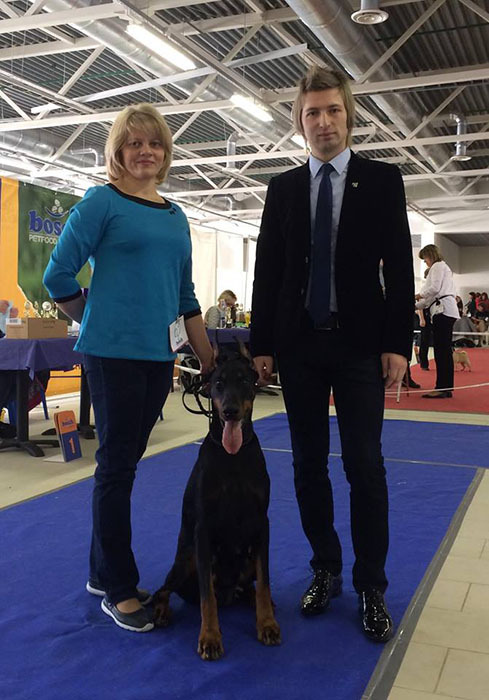 TERALINE PRESIDENT - 1 ex, САС ! 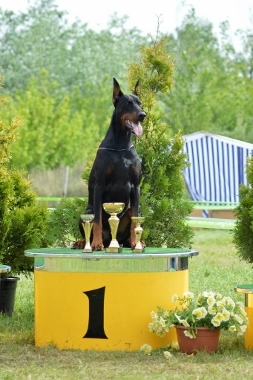 TERALINE PRESIDENT - 1 ex, JСАС, Best Junior ! 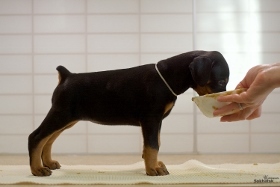 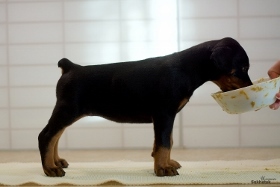 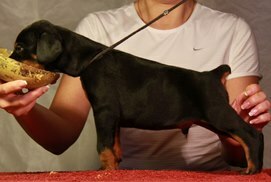 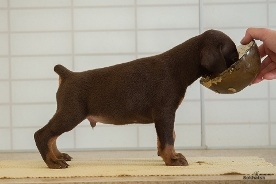 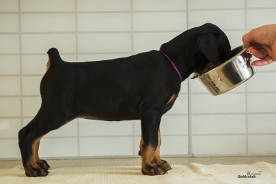 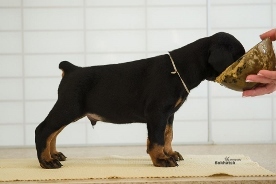 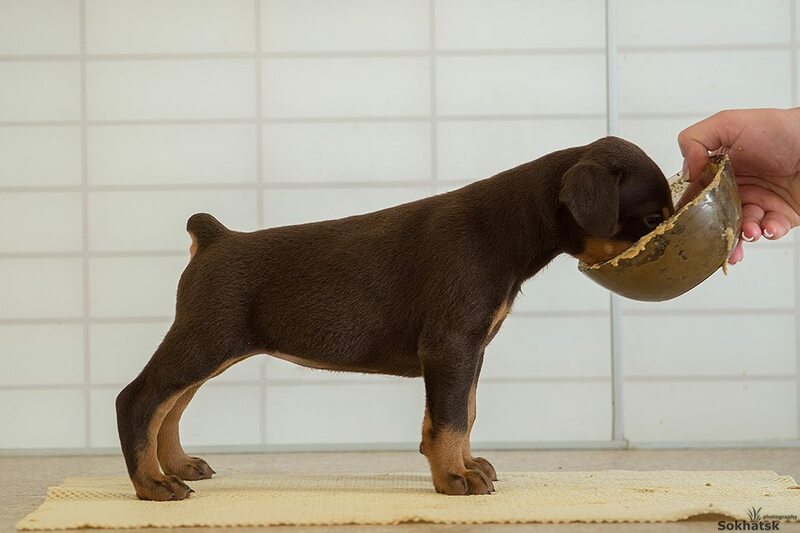 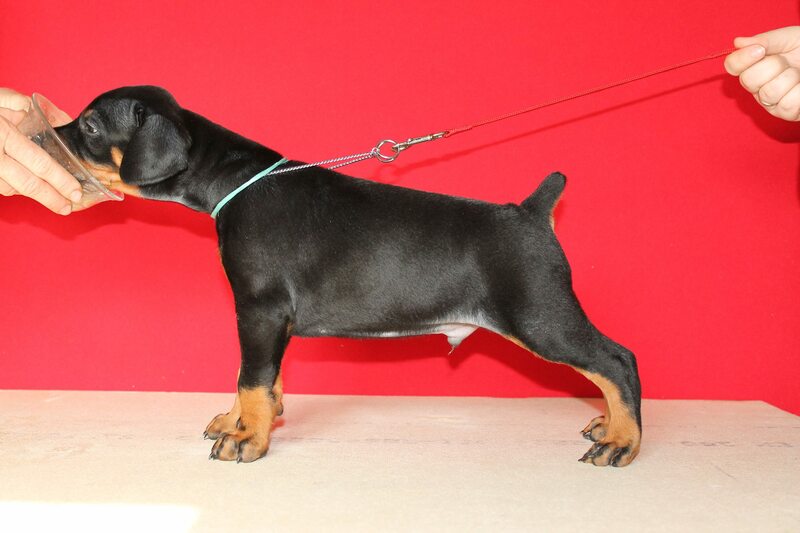 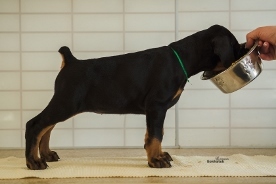 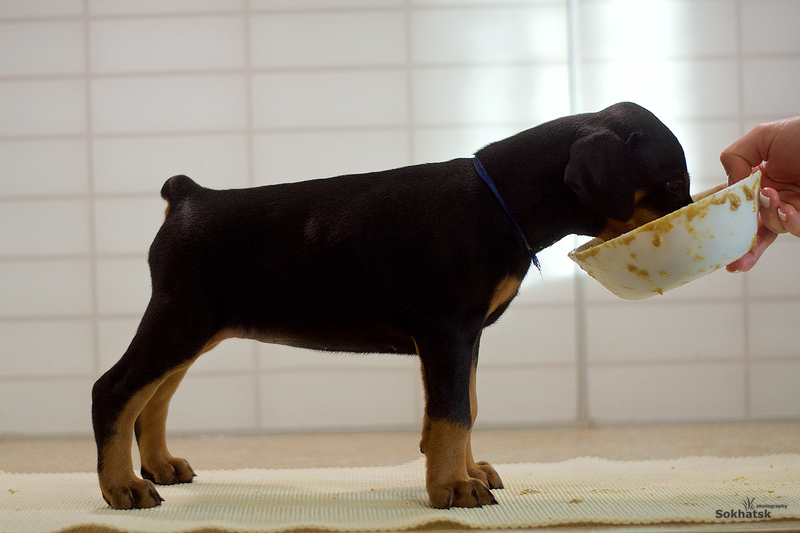 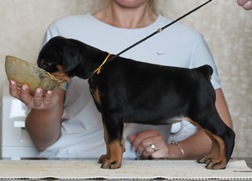 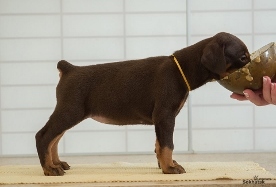 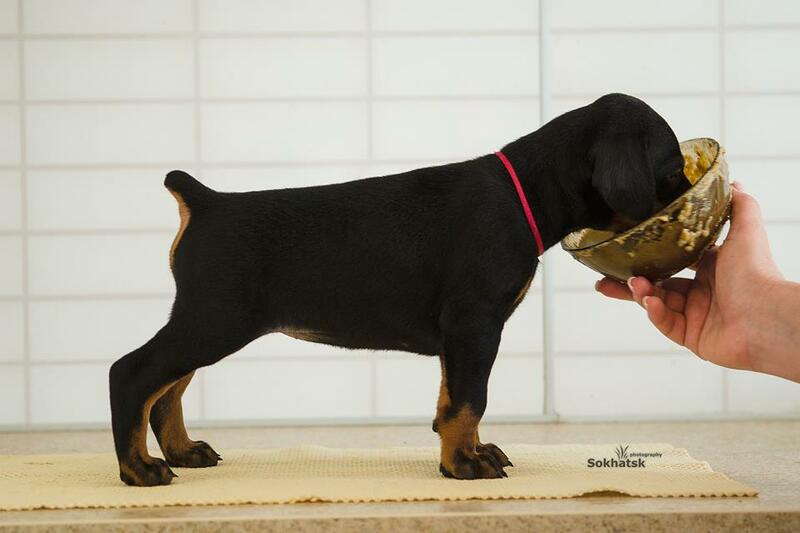 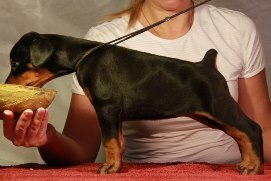 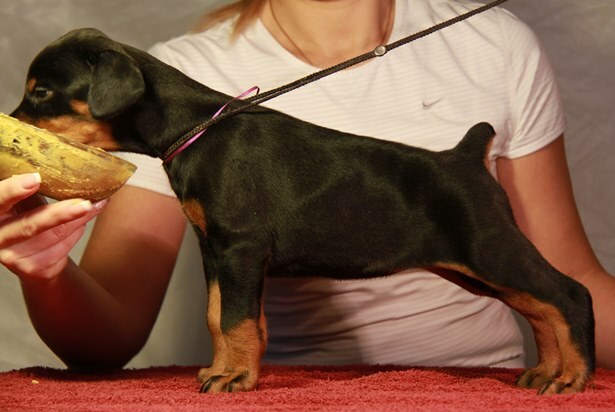 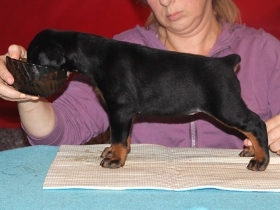 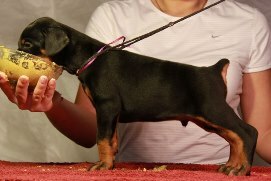 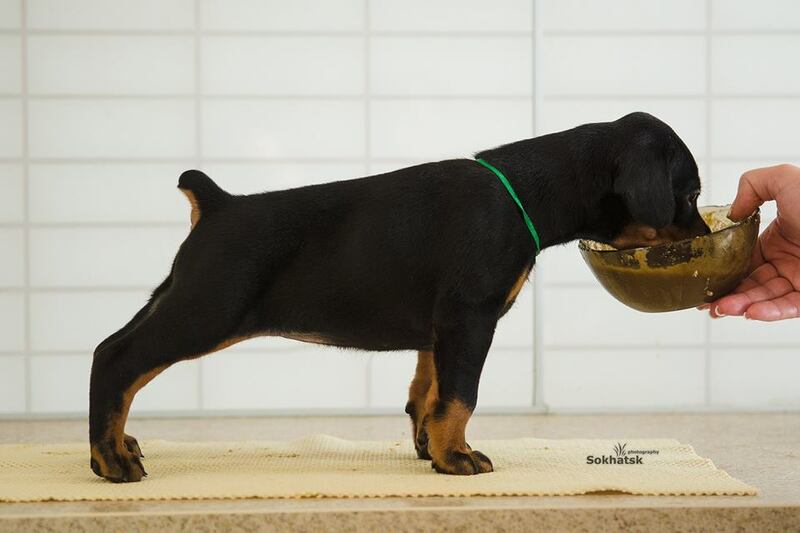 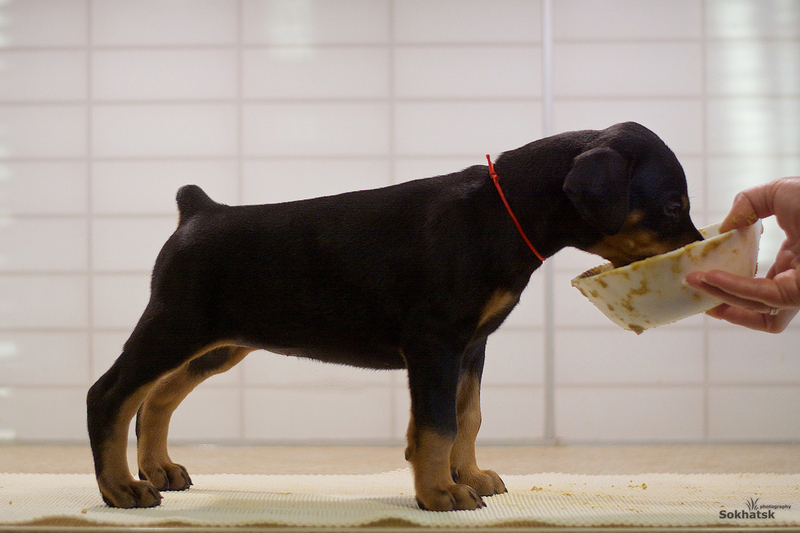 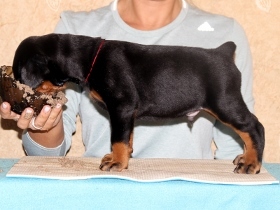 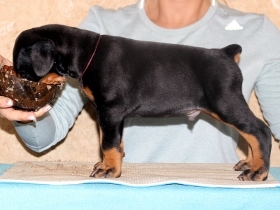 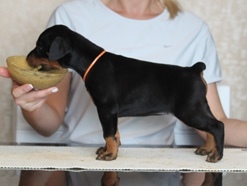 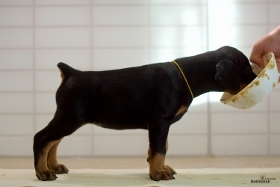 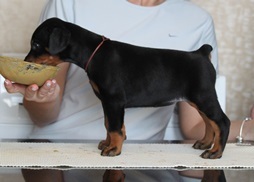 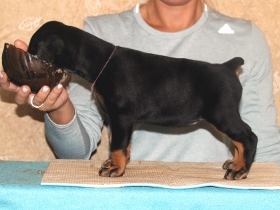 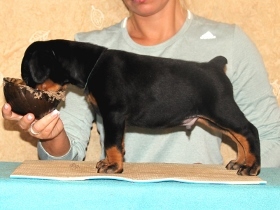 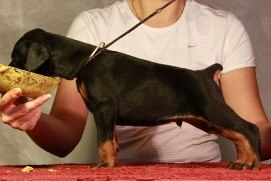 TERALINE PIRAT - 1 exp., САС, Best Male, Best of Breed! 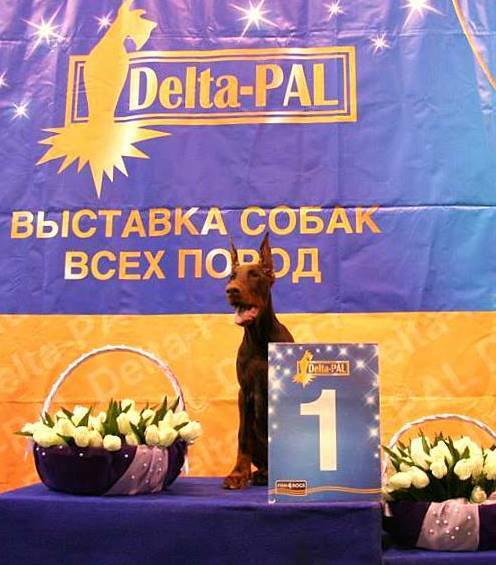 Teraline Pirat - 1 exp., САС, Best Male! 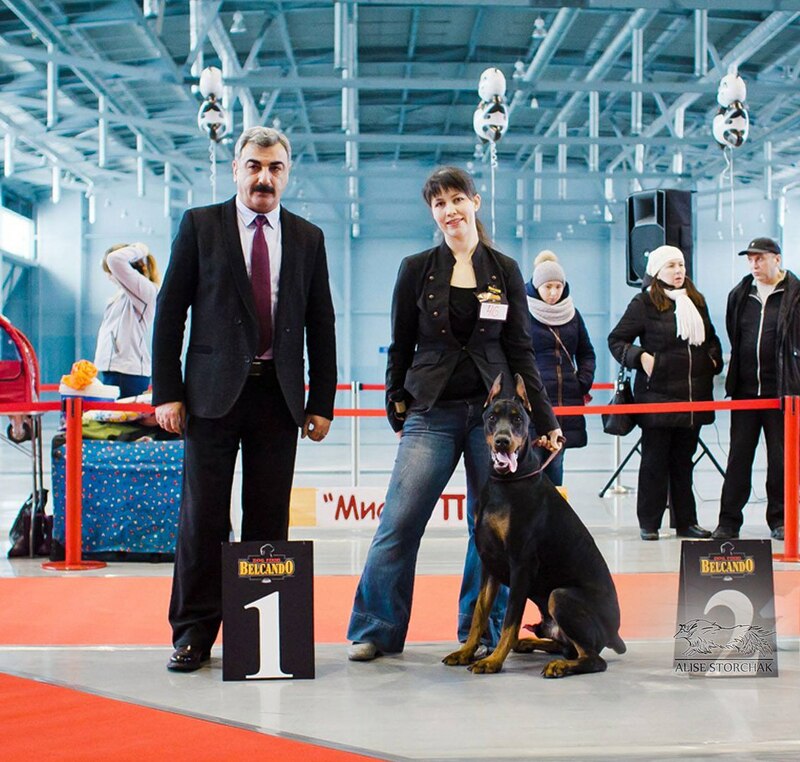 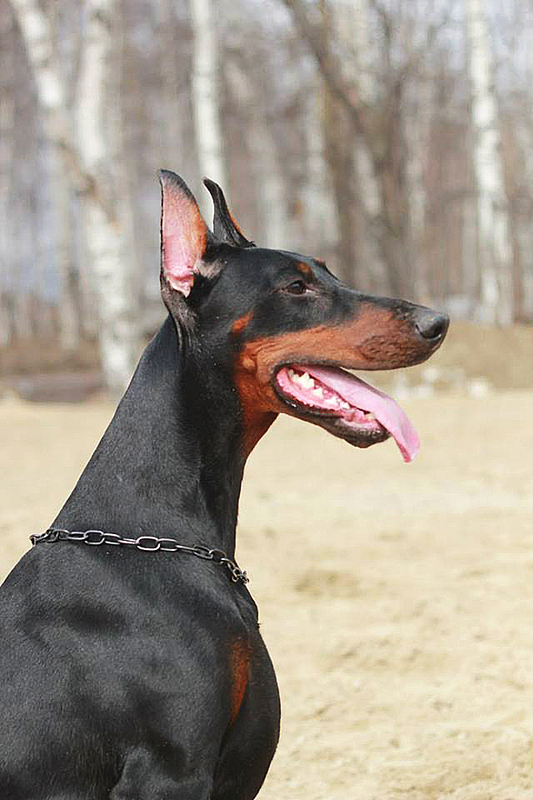 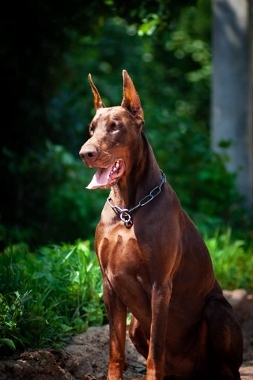 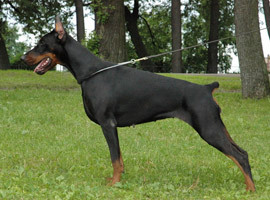 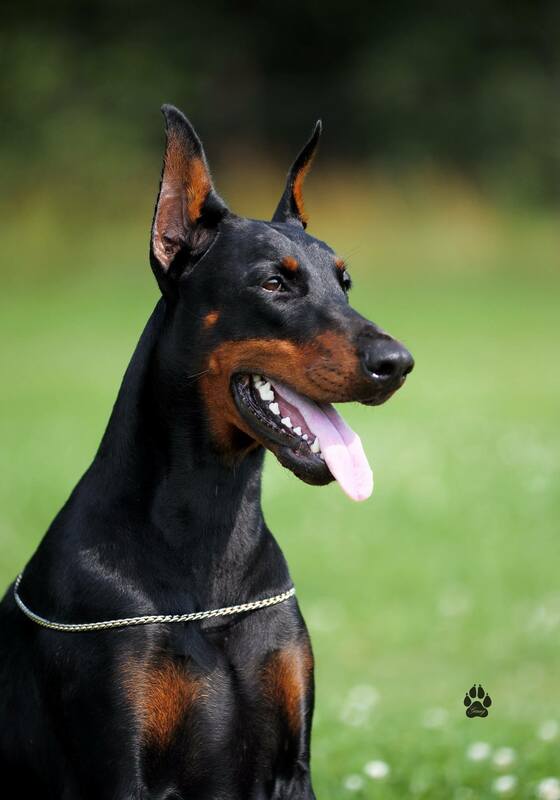 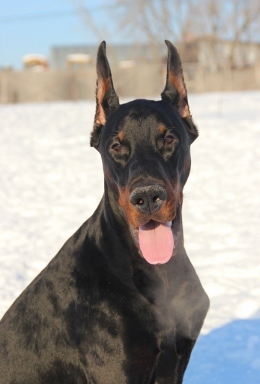 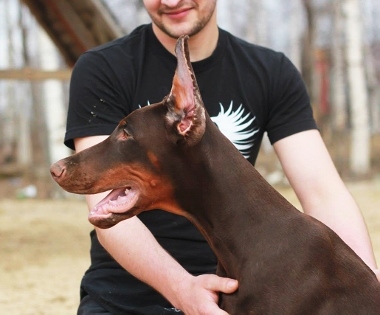 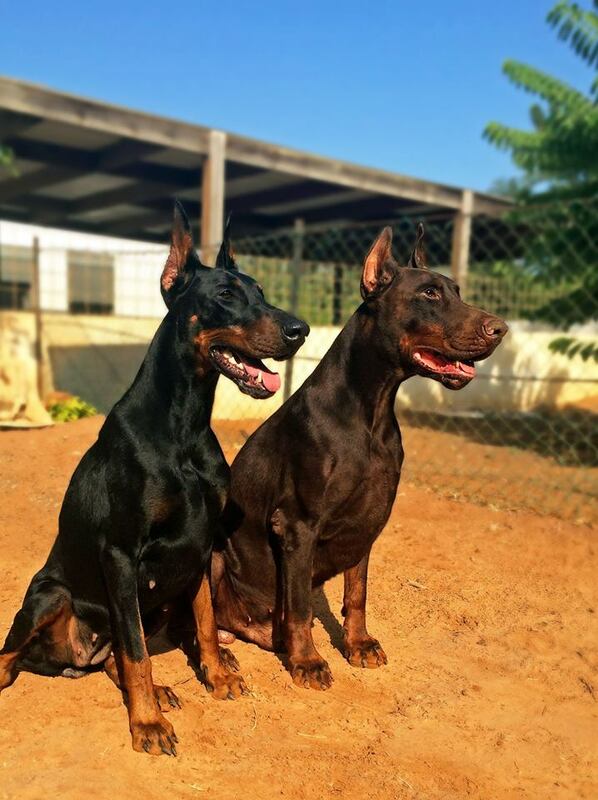 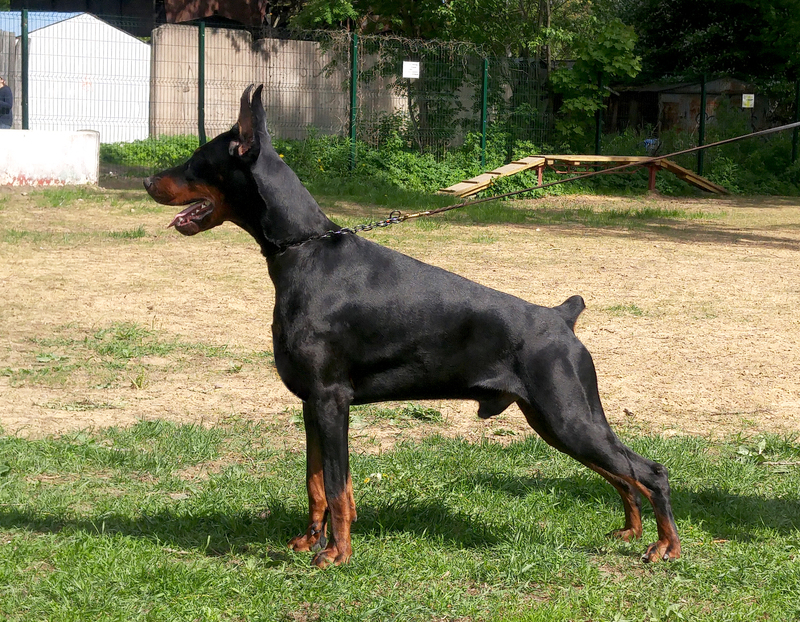 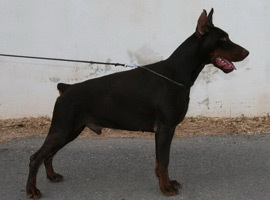 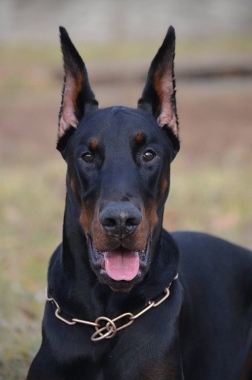 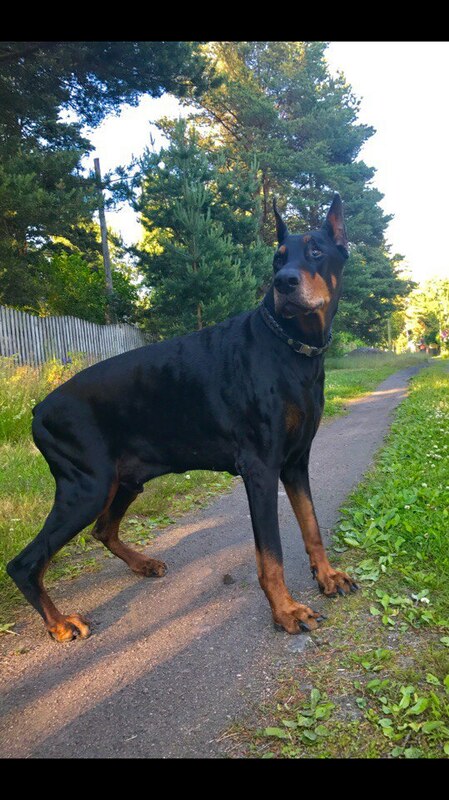 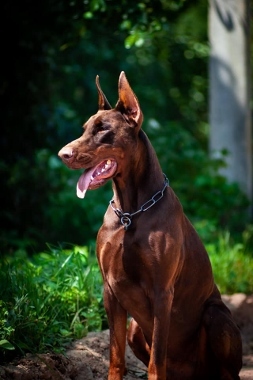 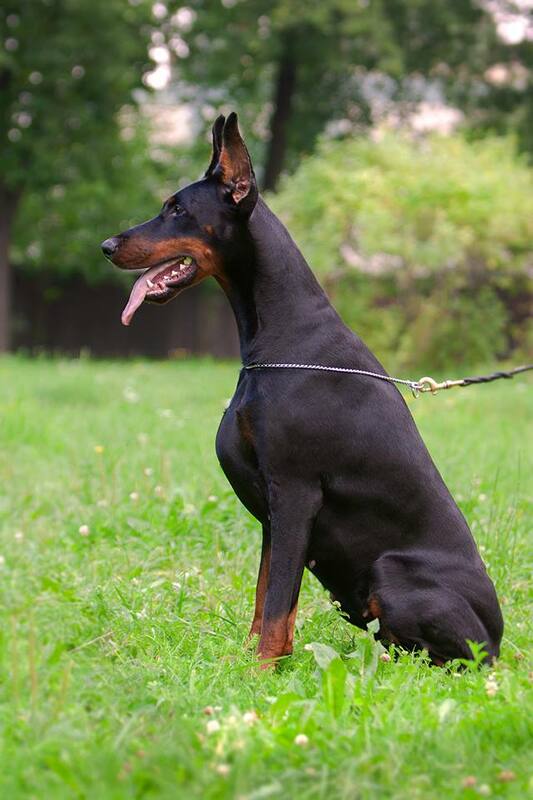 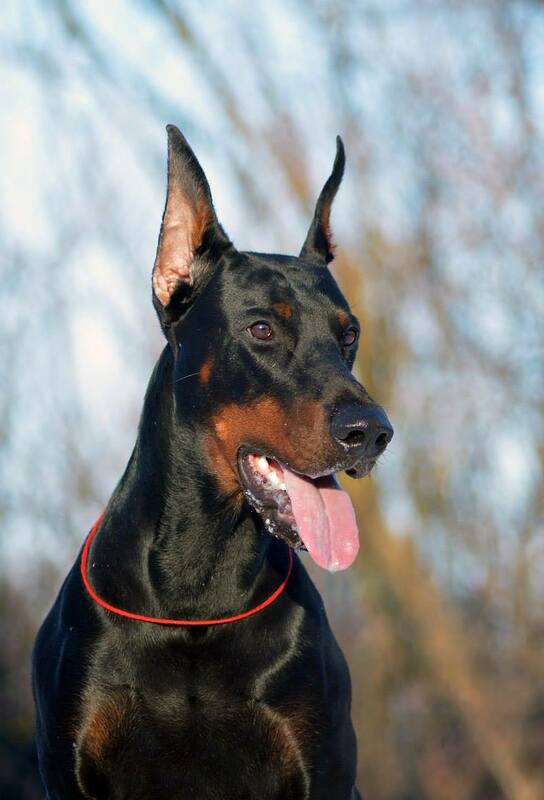 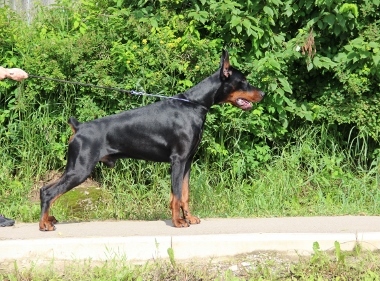 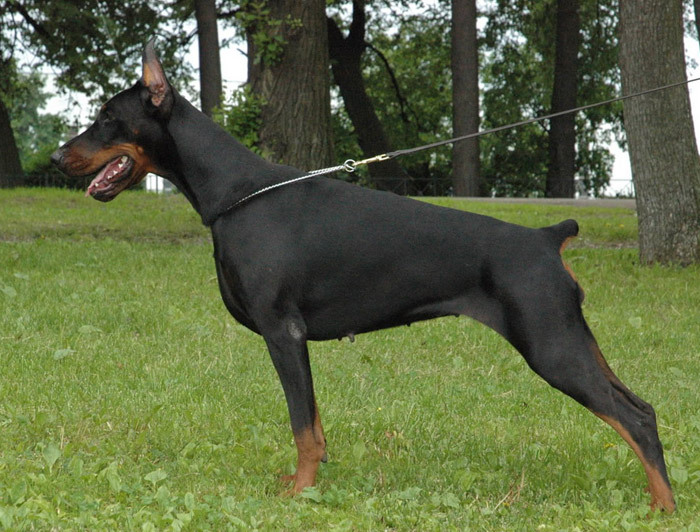 Teraline Pantera - 1 exp., САС, Best Female, Best of Breed! 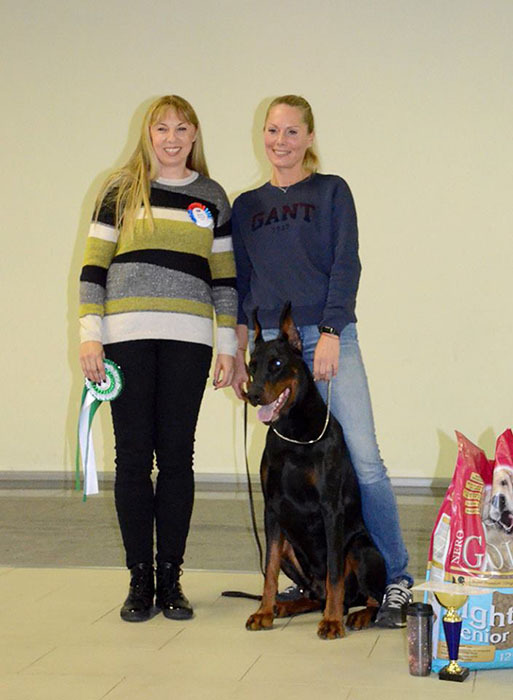 Teraline Soul - 1 exp., J.САС, Best Junior! Teraline Pantera - 1 exp., САС, Best Female, RKF Champion!! 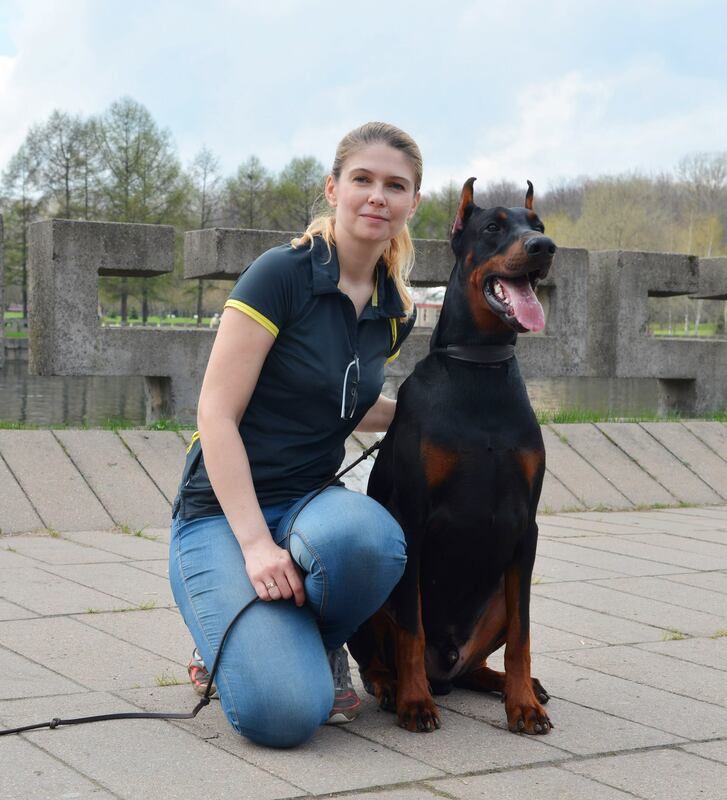 Teraline Pantera - 1 exp., САС, Best Female! 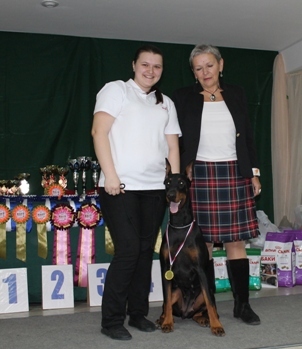 TERALINE ROHAN - CW, JСАС , Best Junior , Best of Breed! 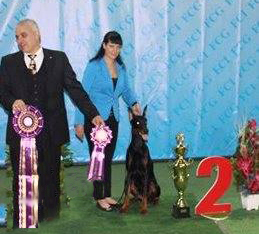 Teraline Southern Sea Spirit - 1 exp., J.САС, BOB, Best in Group-2 - 1 place, Best in Show- 2 place! 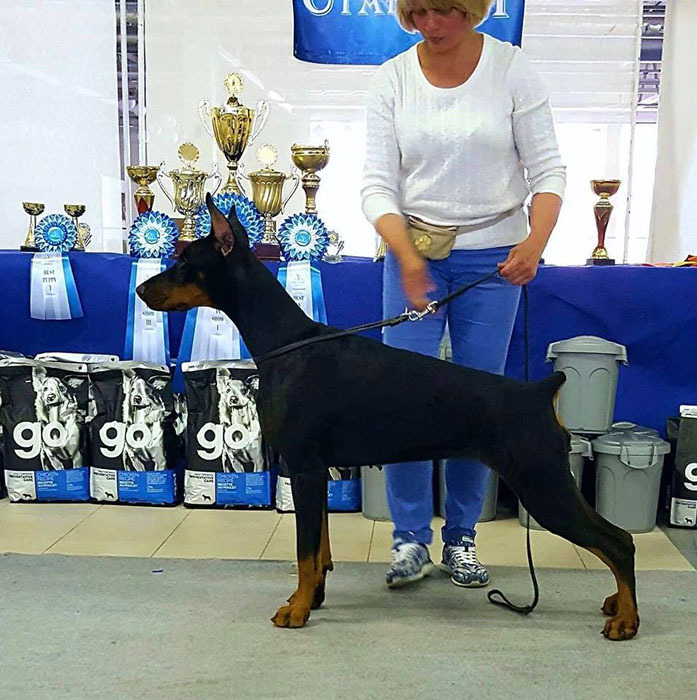 Teraline Southern Sea Spirit - 1 exp., J.САС, Best Junior !